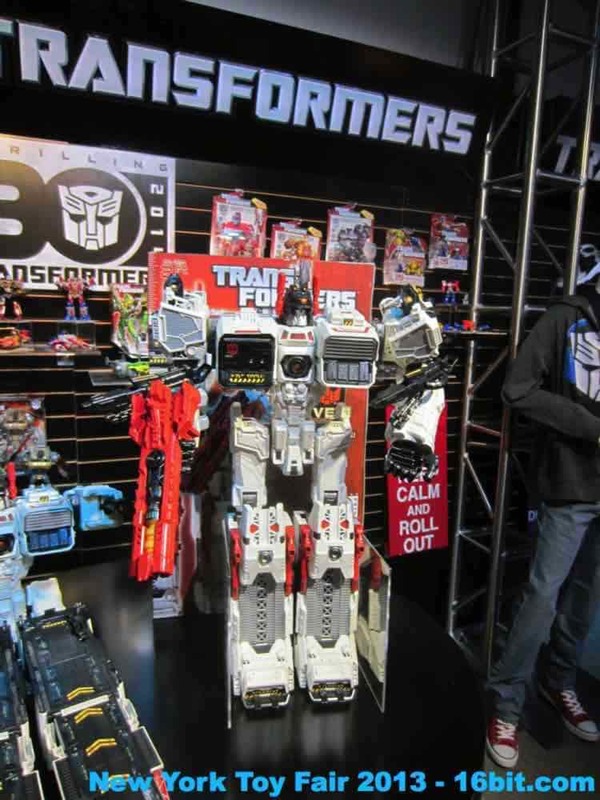 Metroplex! 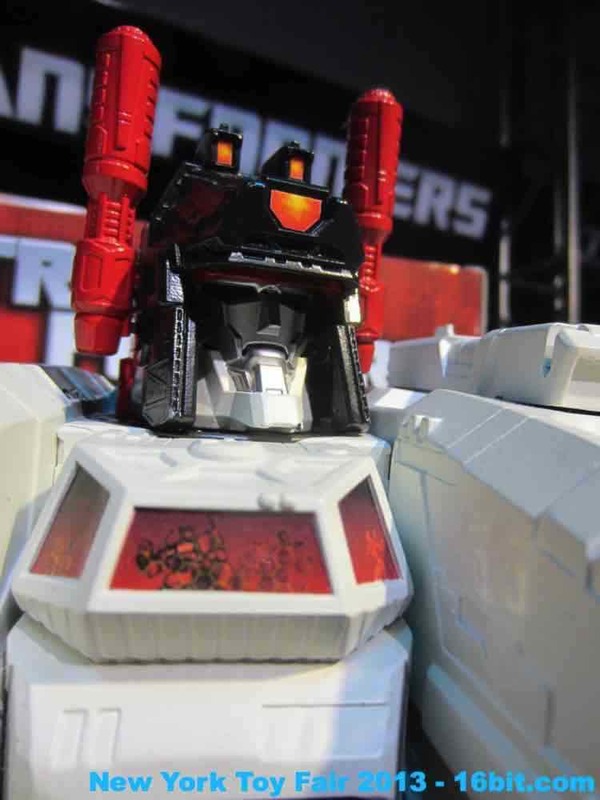 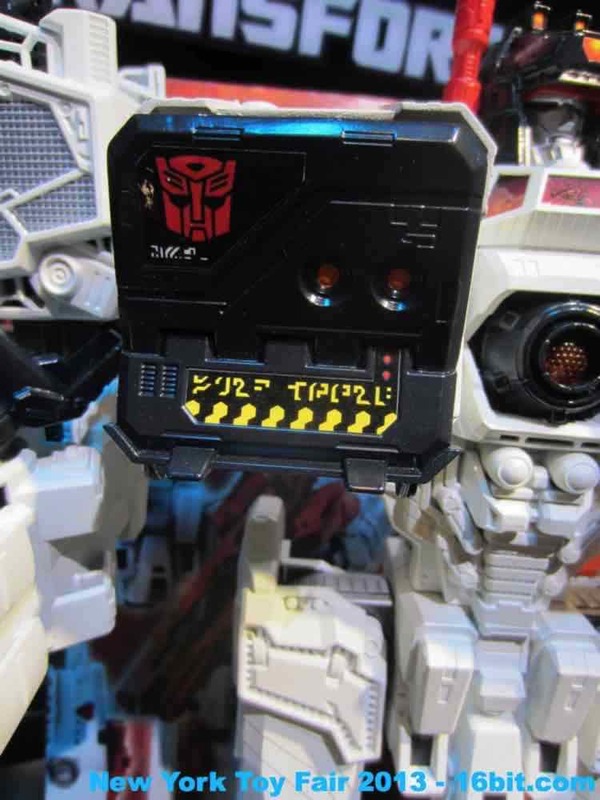 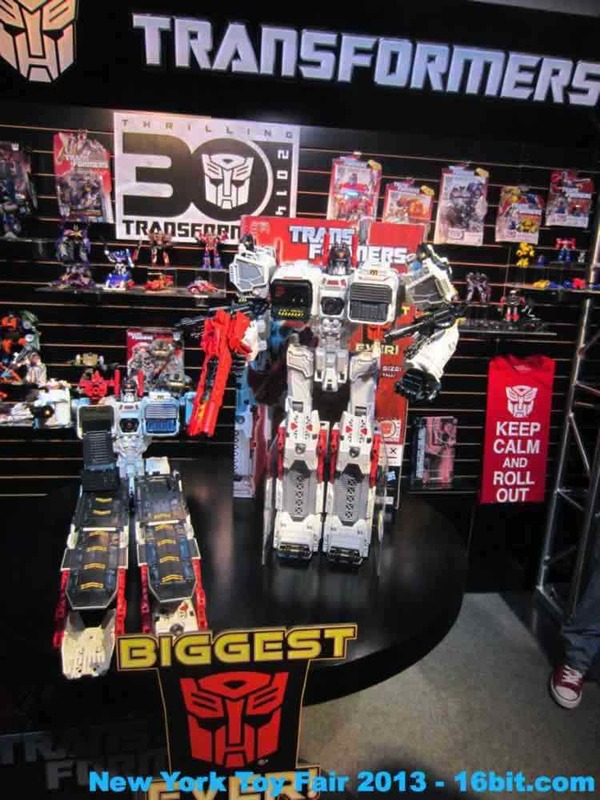 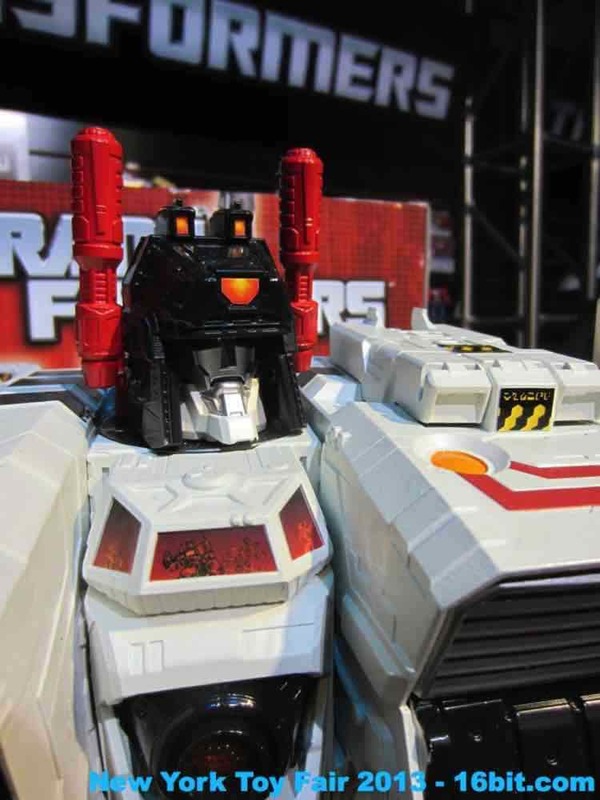 It can be tough to keep a secret this big, but Hasbro managed to keep Transformers Metroplex quiet quite nicely. 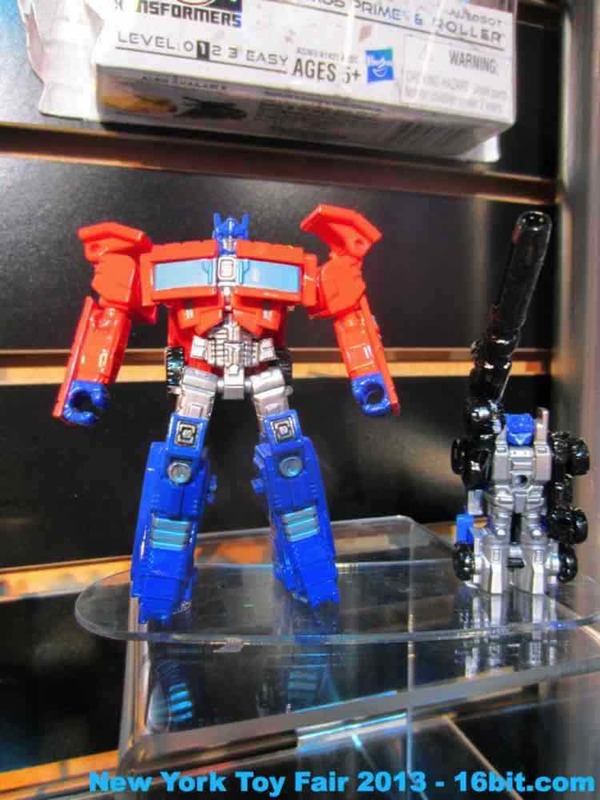 This 24-inch robot will be around $130 and change from a city to a robot to a thing that collects dust after the gee-whiz wears off. 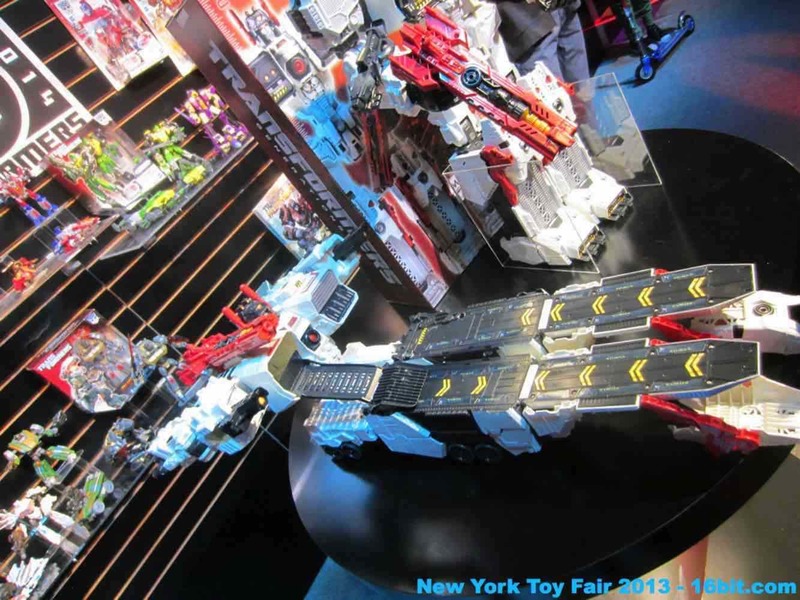 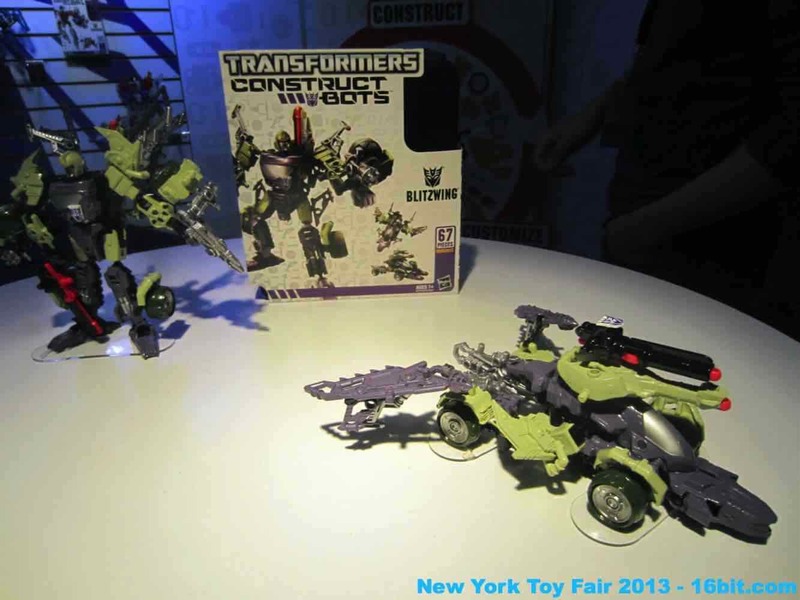 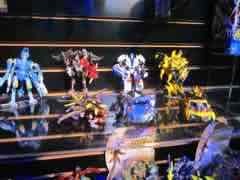 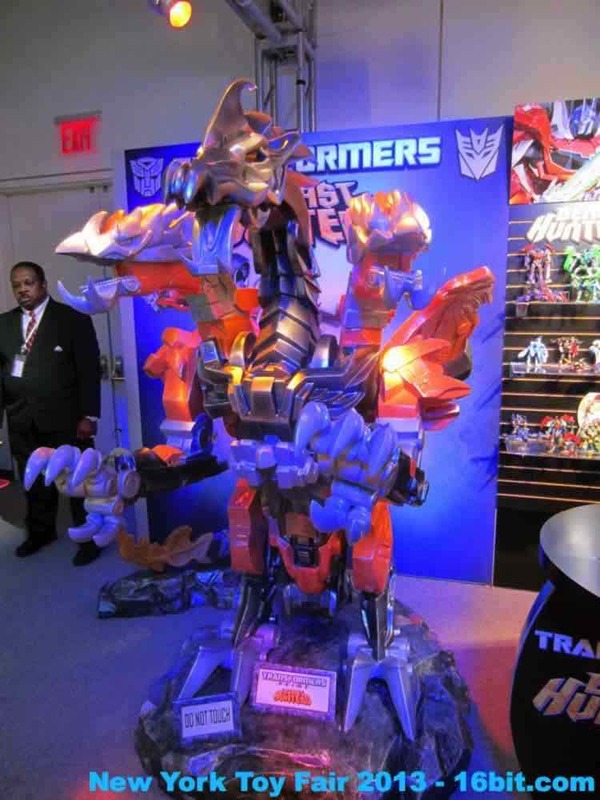 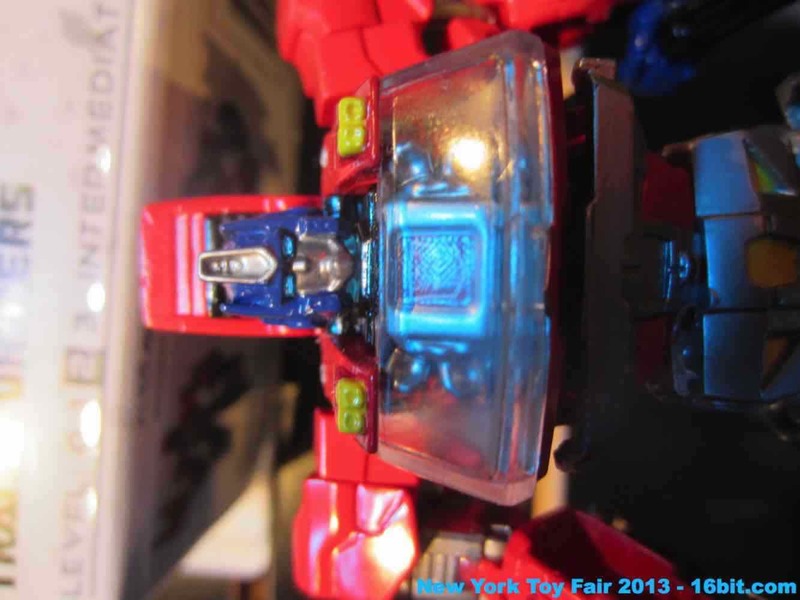 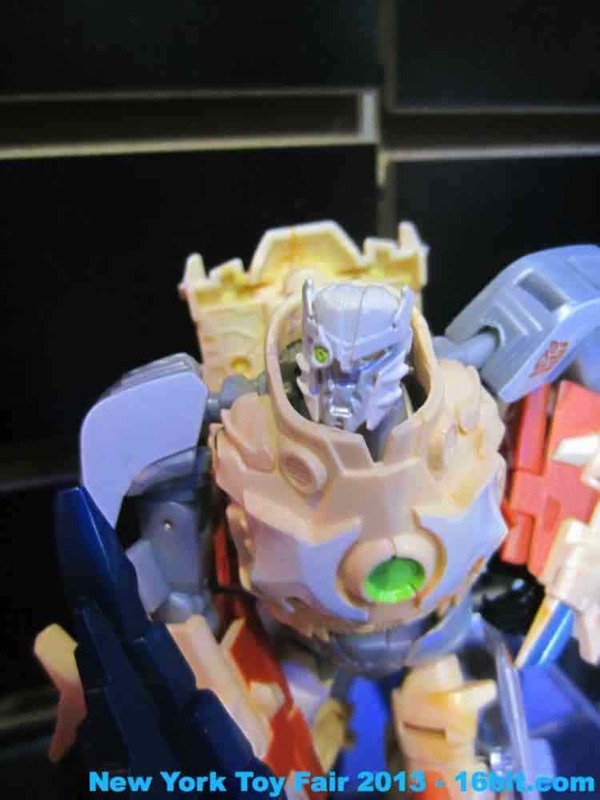 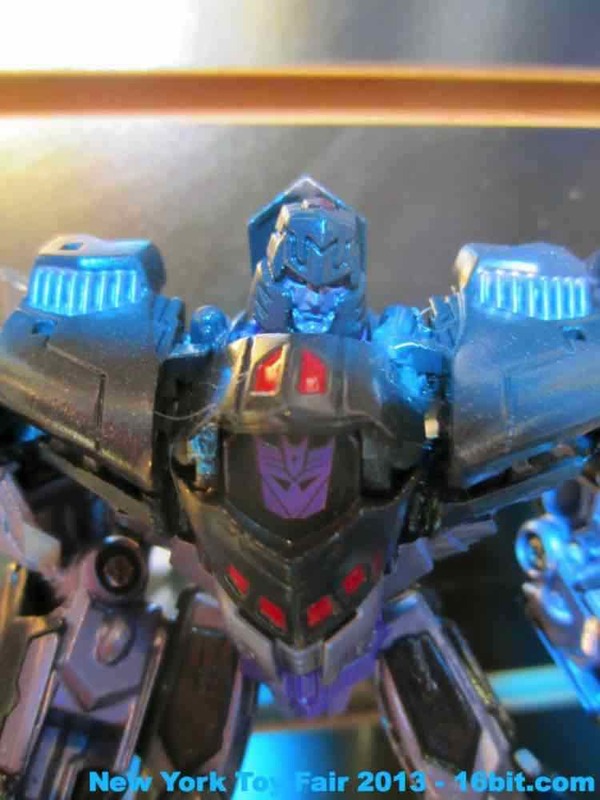 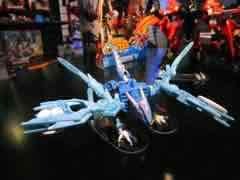 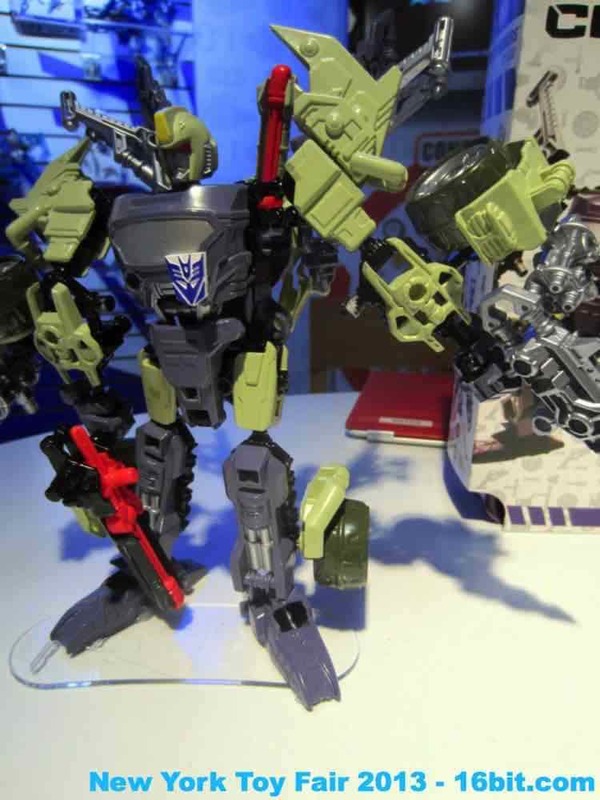 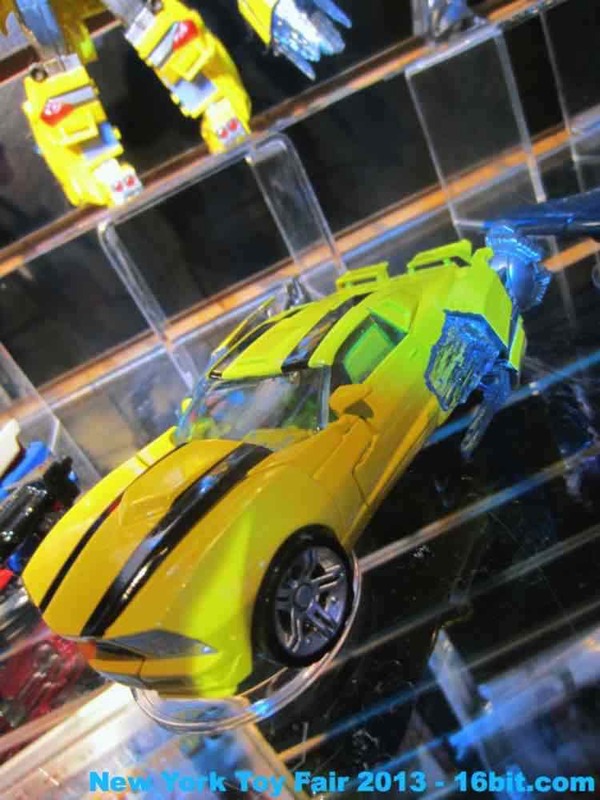 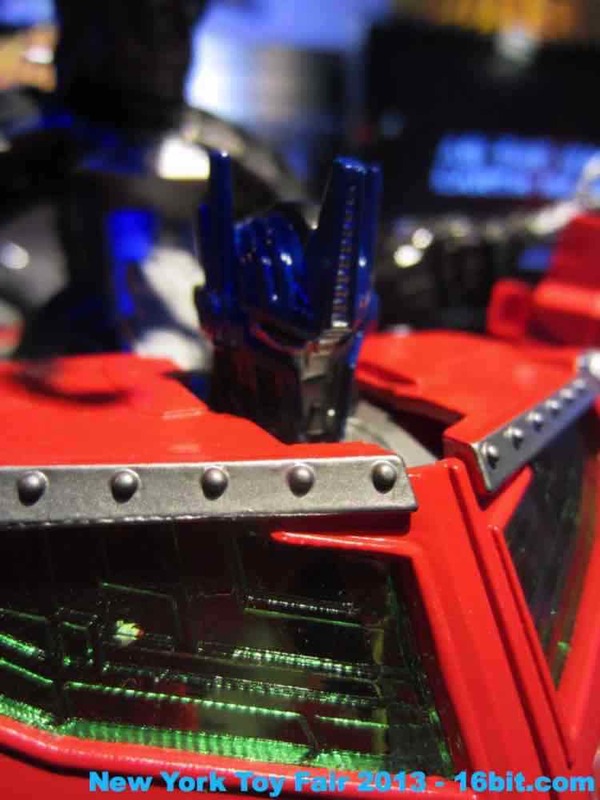 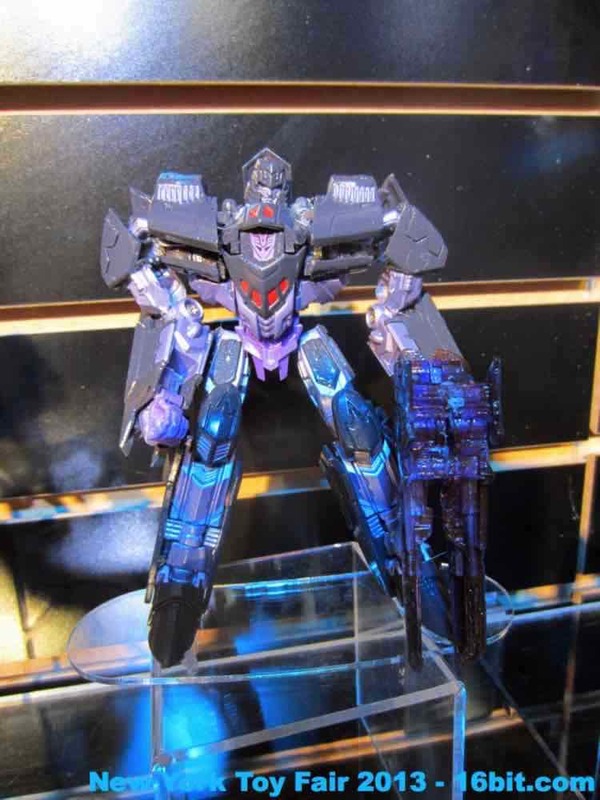 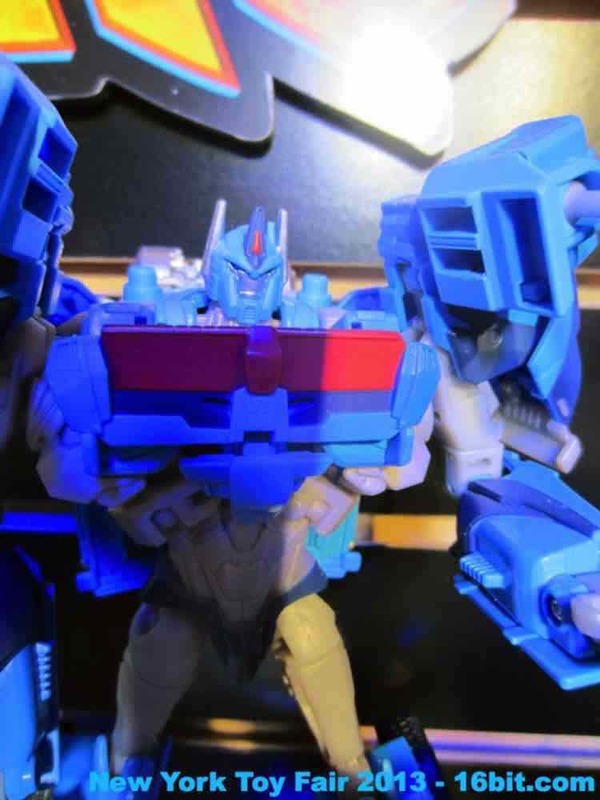 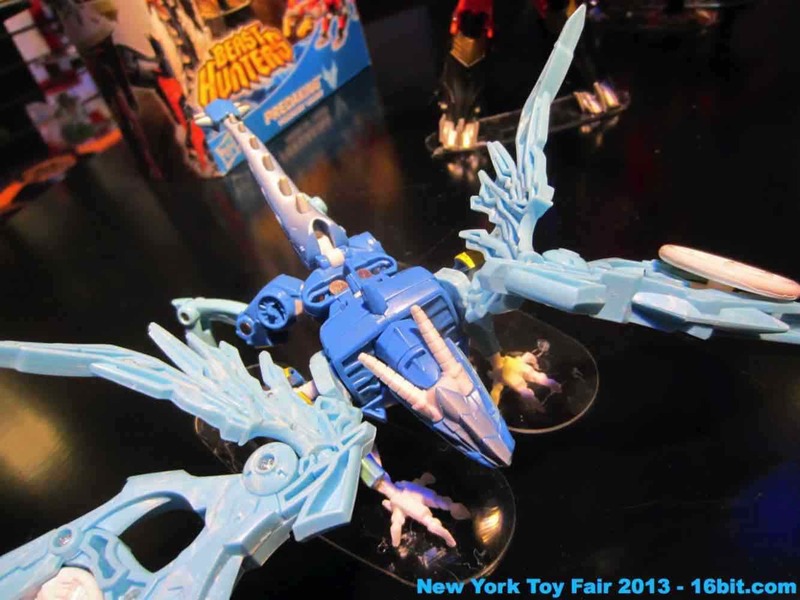 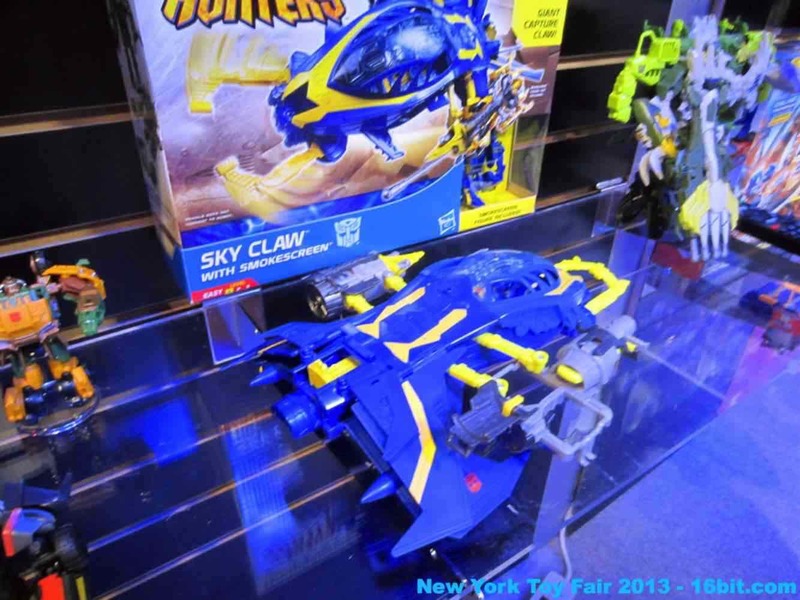 It is seriously impressive up close, and is said to be scaled to the Cyberverse toys. 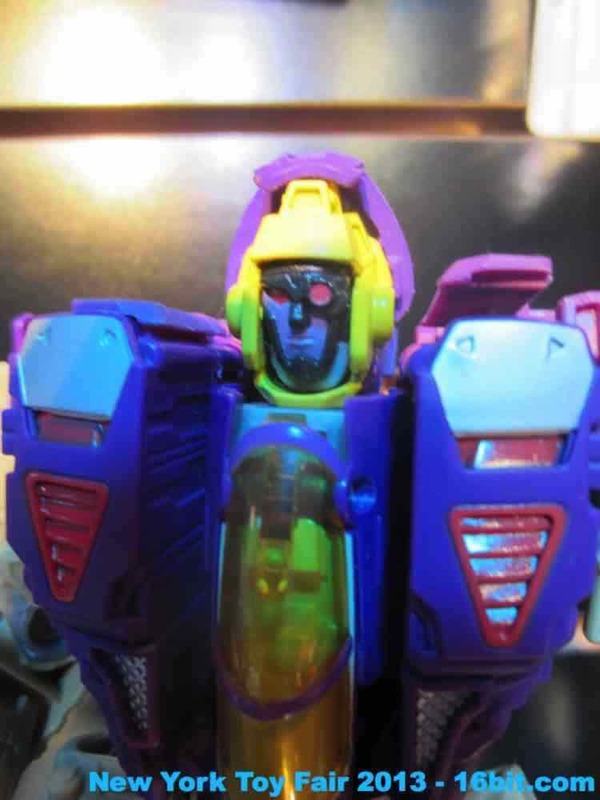 I was also told the eyes are articulated, but I did not see this feature demonstrated. 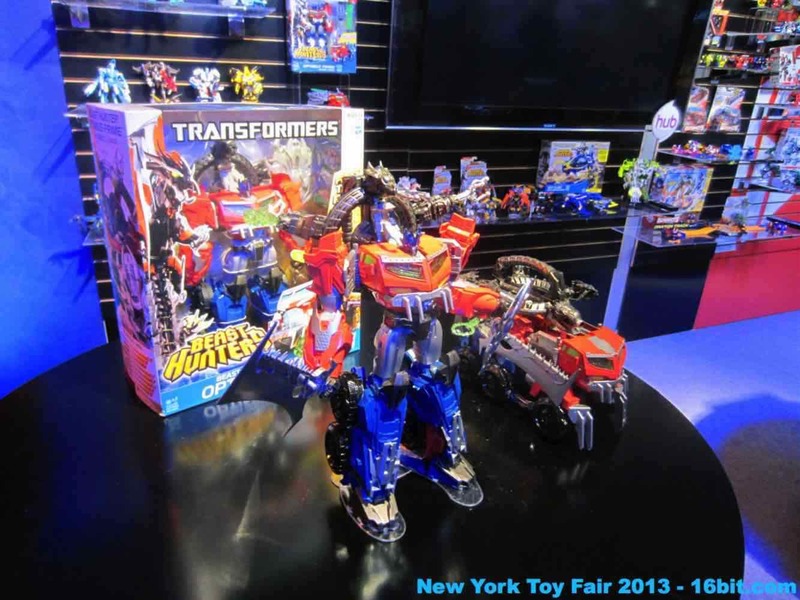 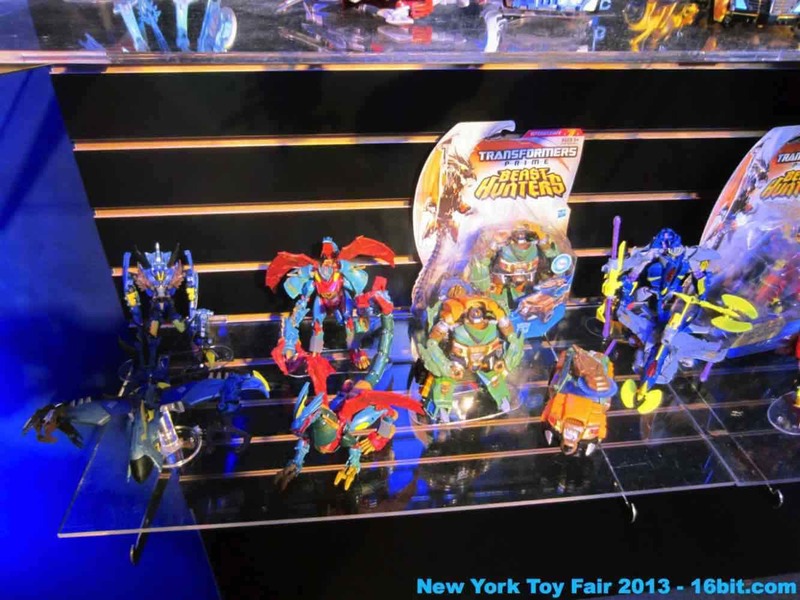 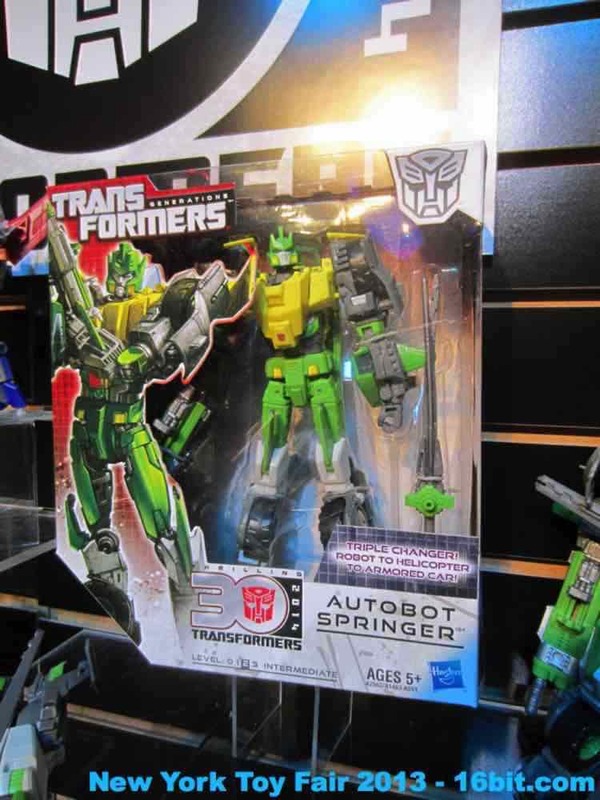 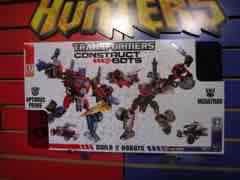 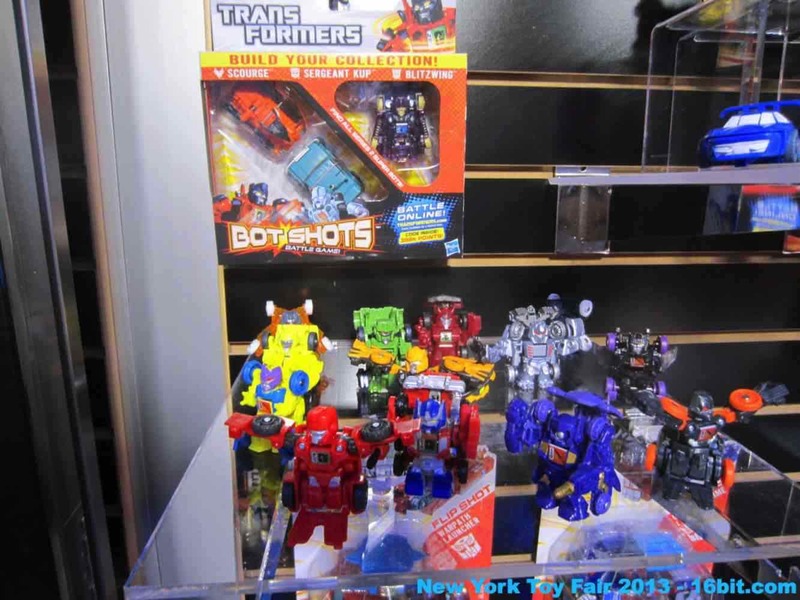 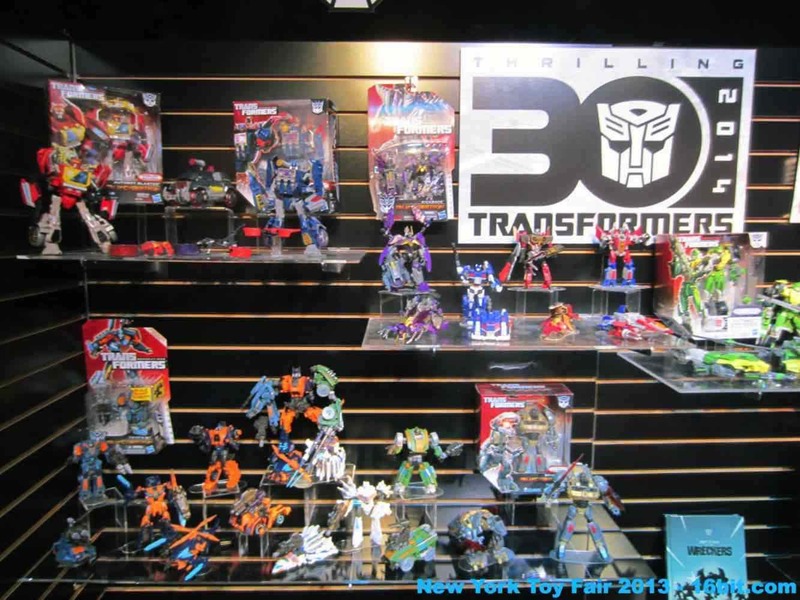 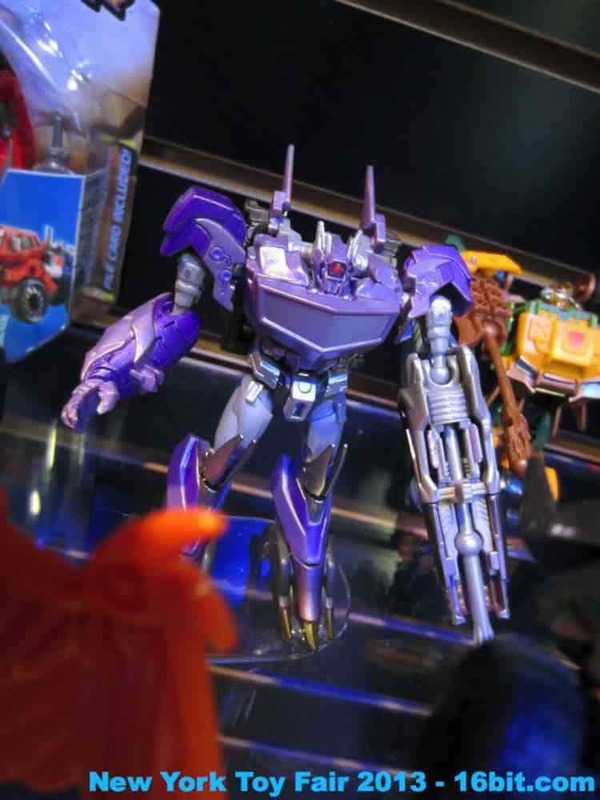 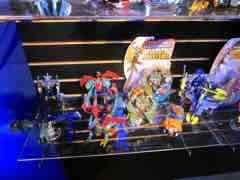 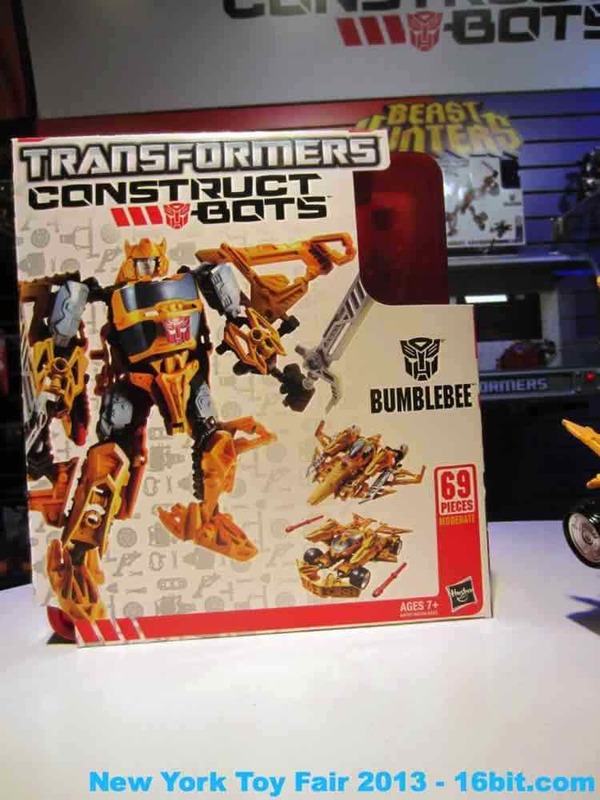 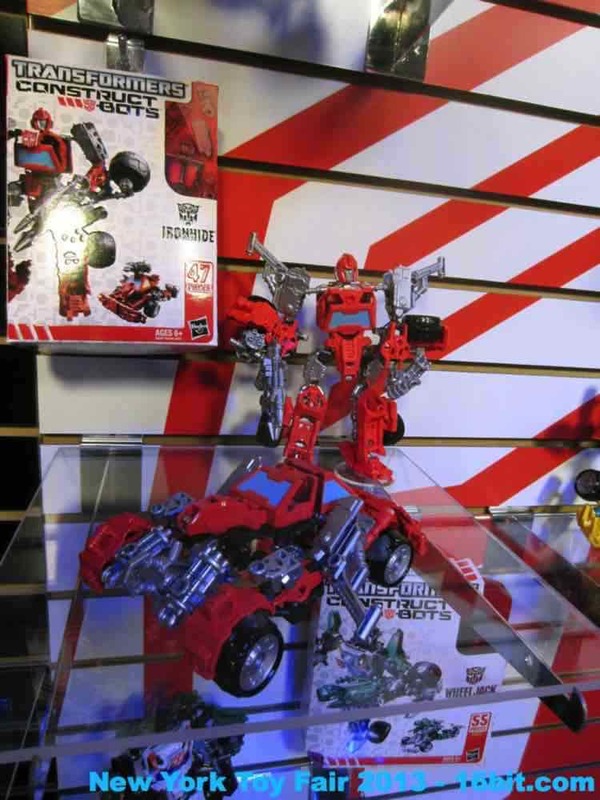 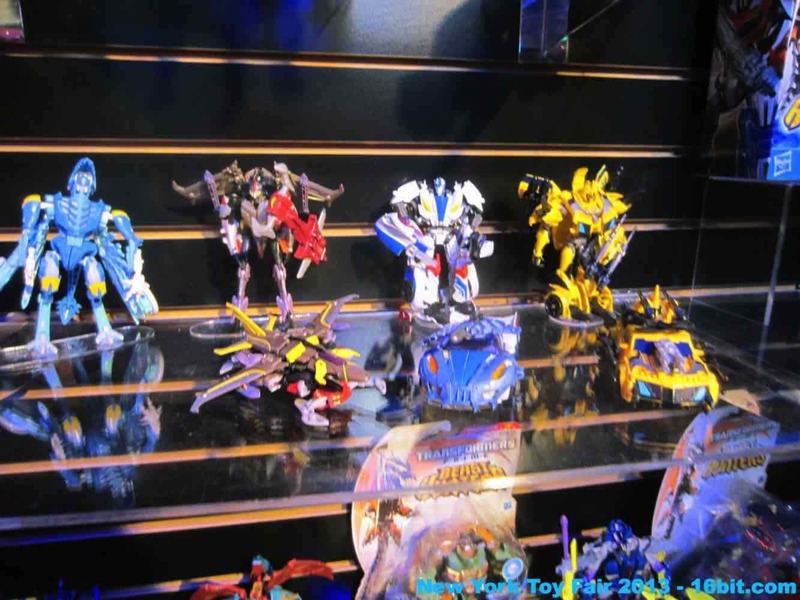 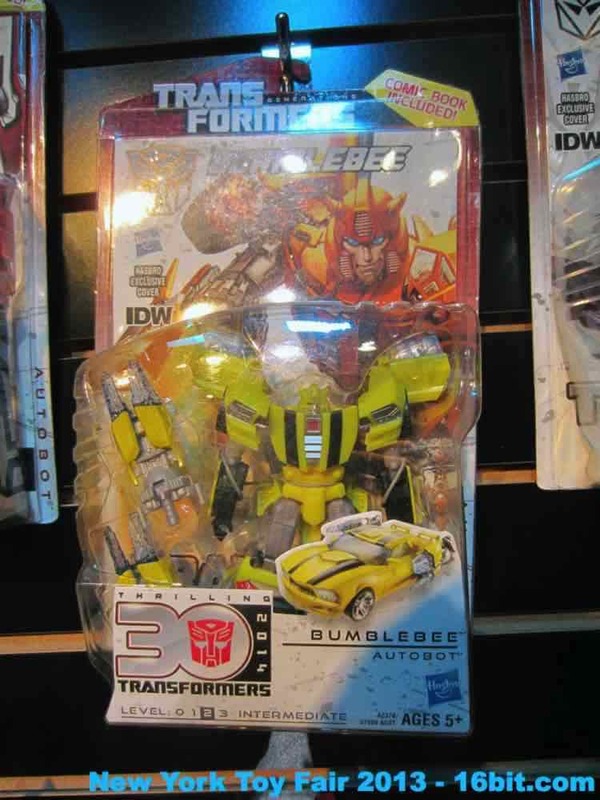 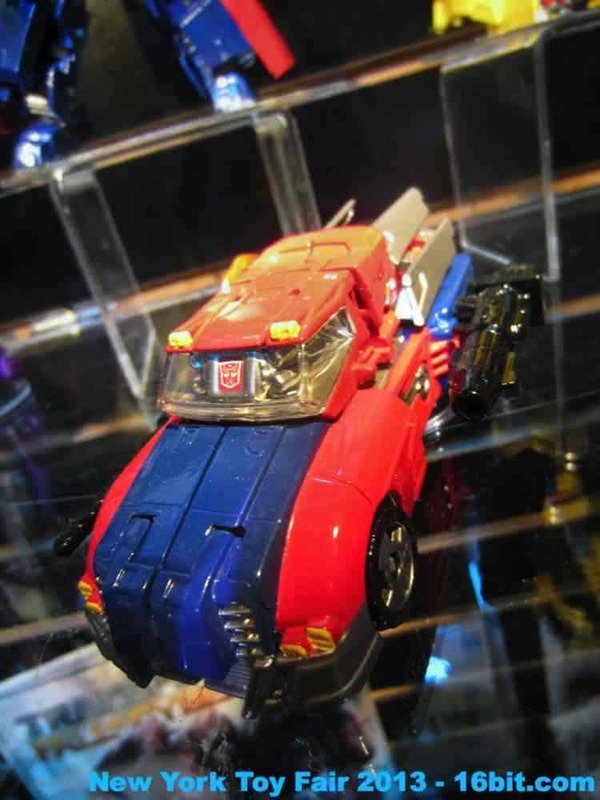 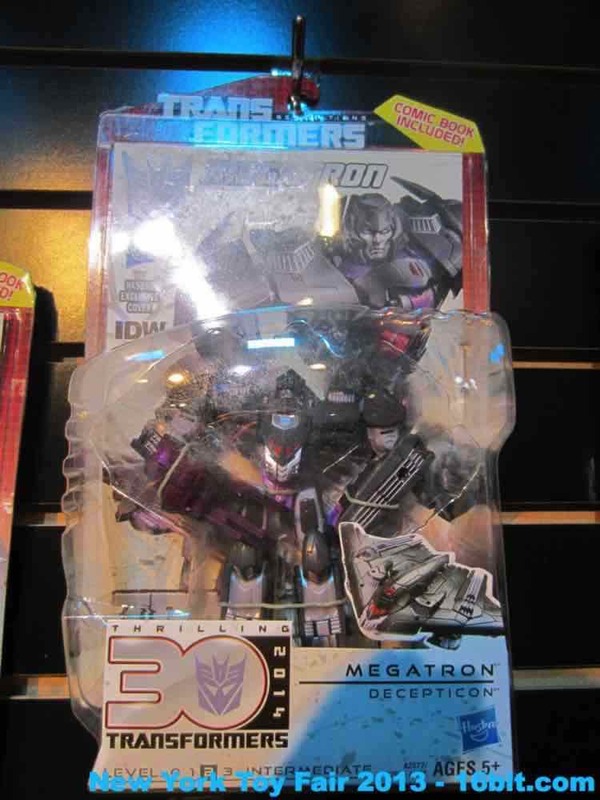 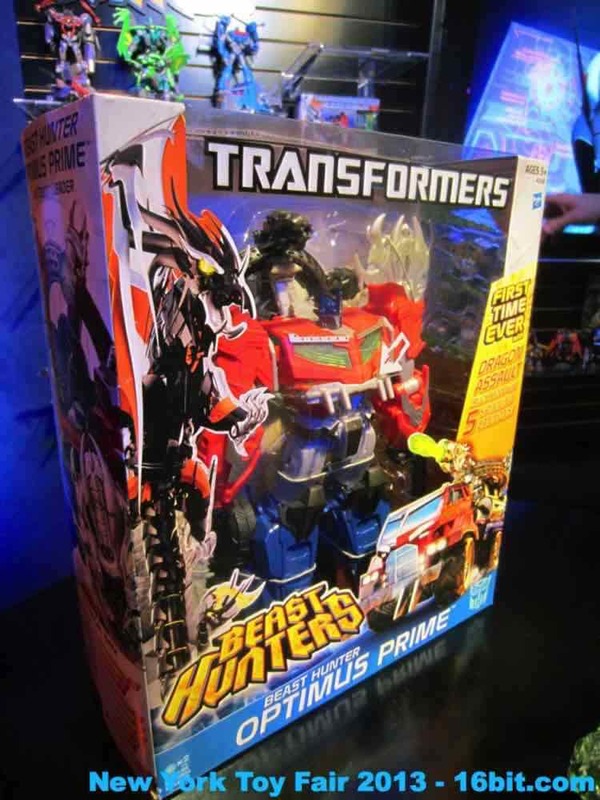 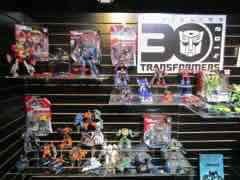 This year we're seeing a big push for Transformers Generations, as that will be rebranded for the 30th Anniversary line, as well as Transformers Prime: Beast Hunters which is starting to hit stores right about now. Generations will focus on a mix of classic, game, and comic-inspired figures with deluxe toys including comic book reprints. 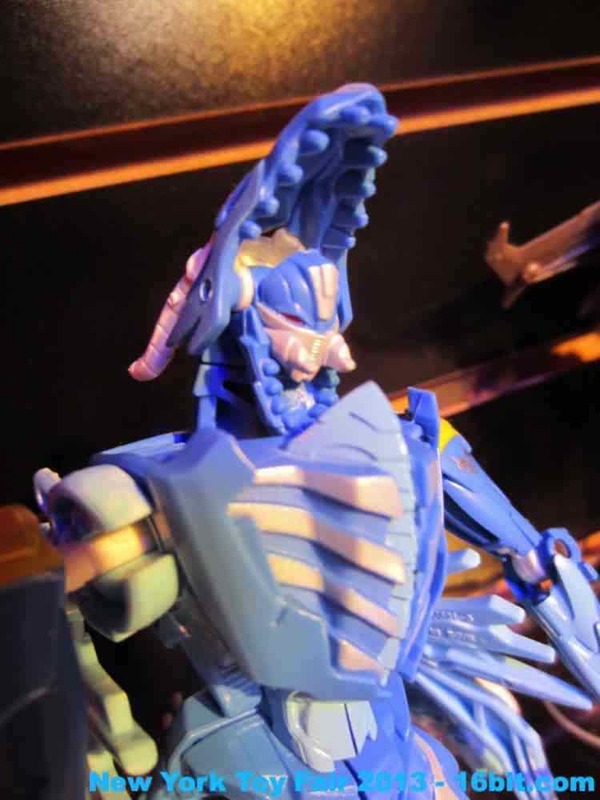 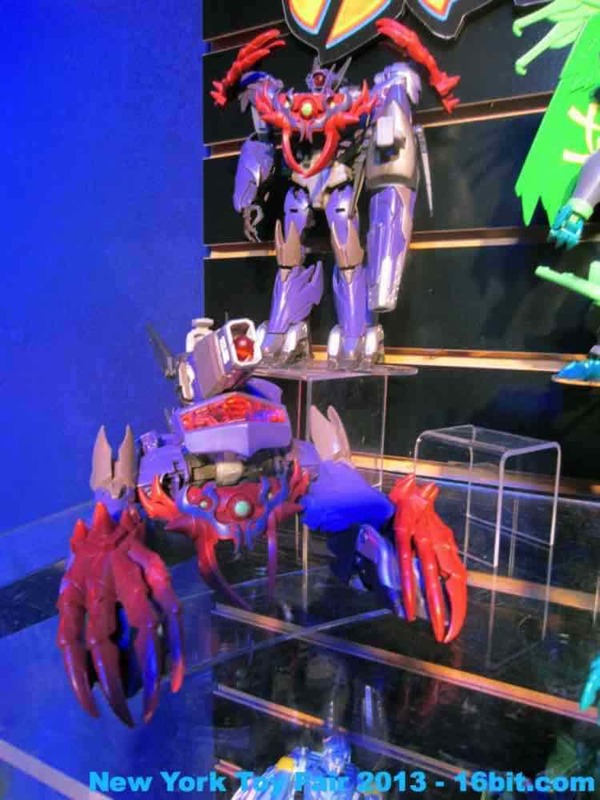 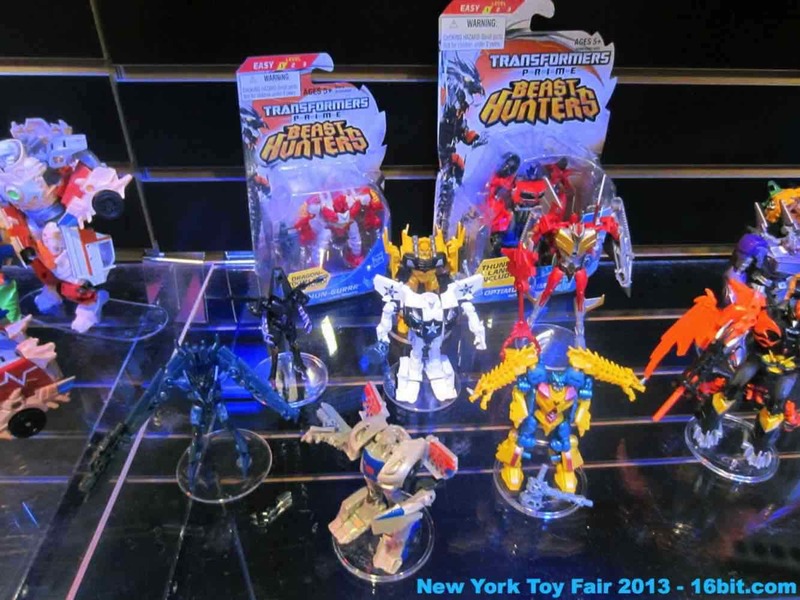 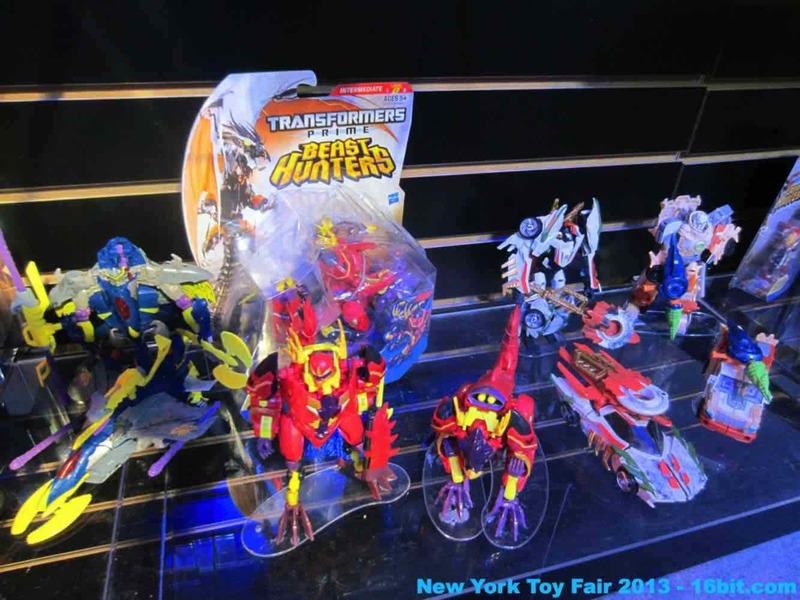 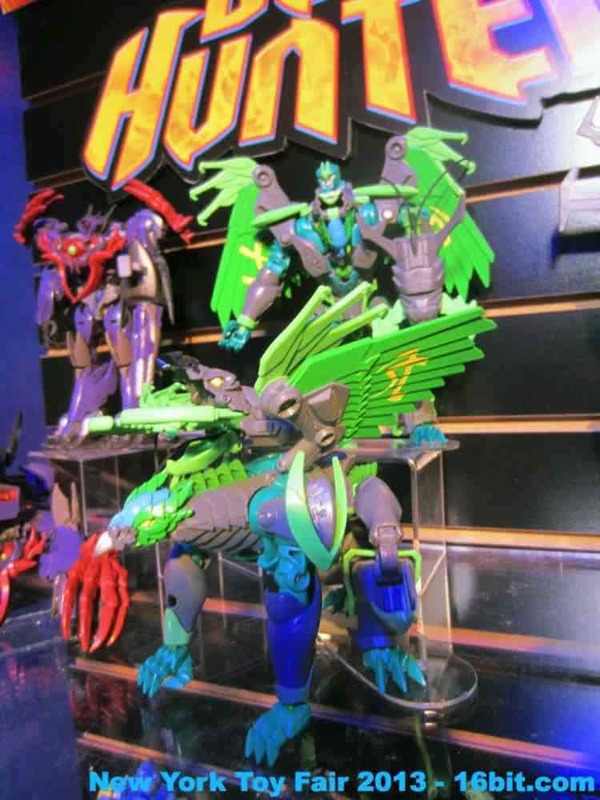 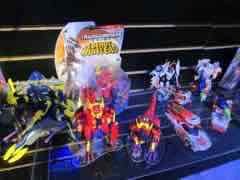 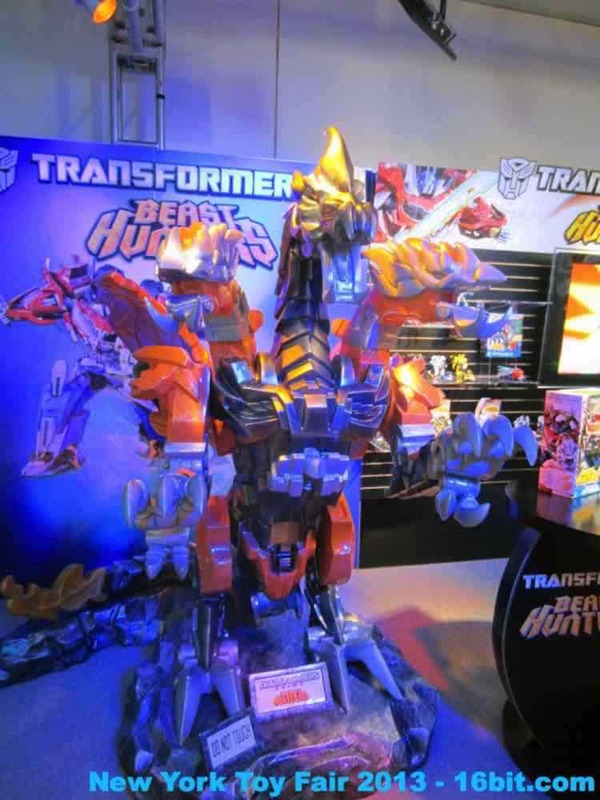 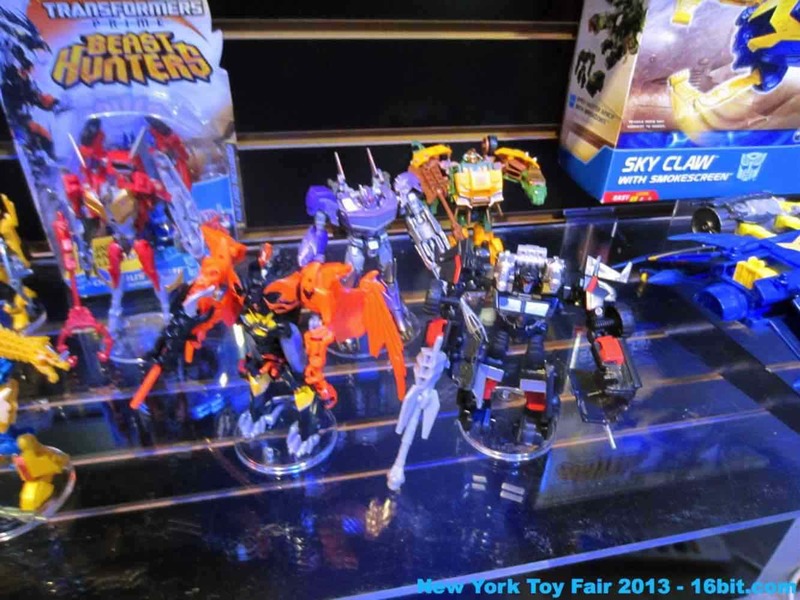 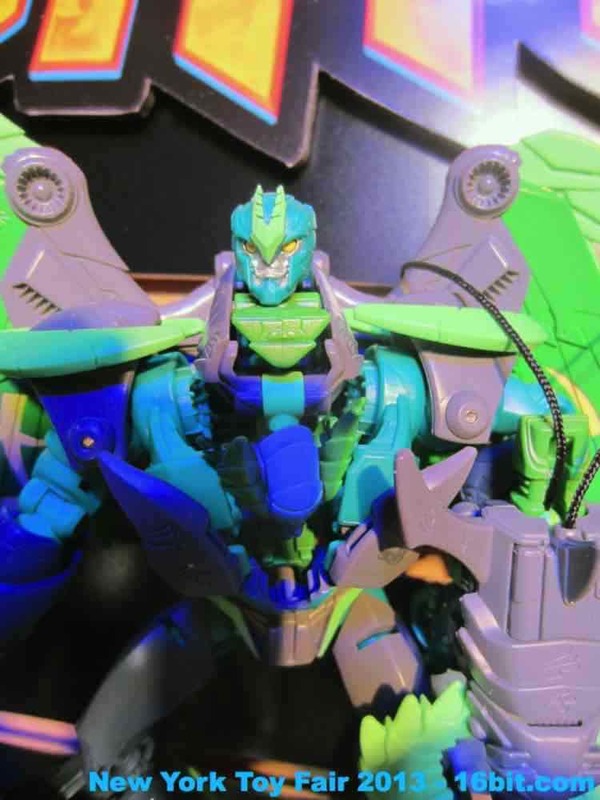 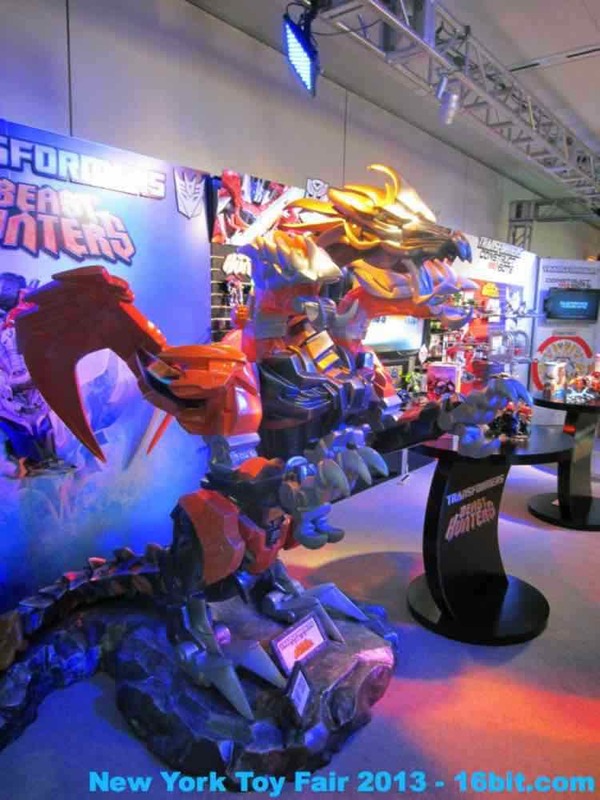 Beast Hunters focuses on Autobots, Decepticons, and Predacons - dragon robots - inspired by a large mix of Generation 1 monster toys. 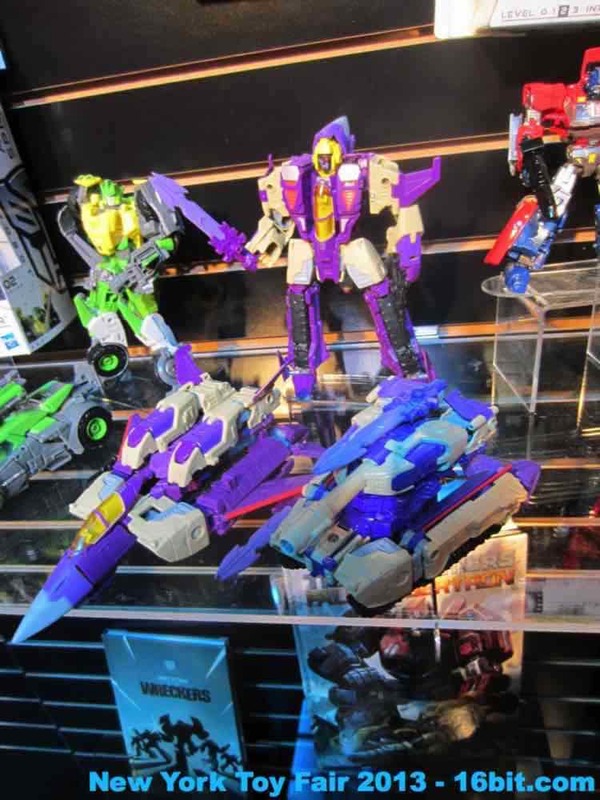 Triple-changers Springer and Blitzwing will get new G1-inspired forms alongside Megatron based on his recent IDW Comic Book incarnation and the long-awaited Trailcutter or Trailbreaker or whatever Hasbro decides to call him. 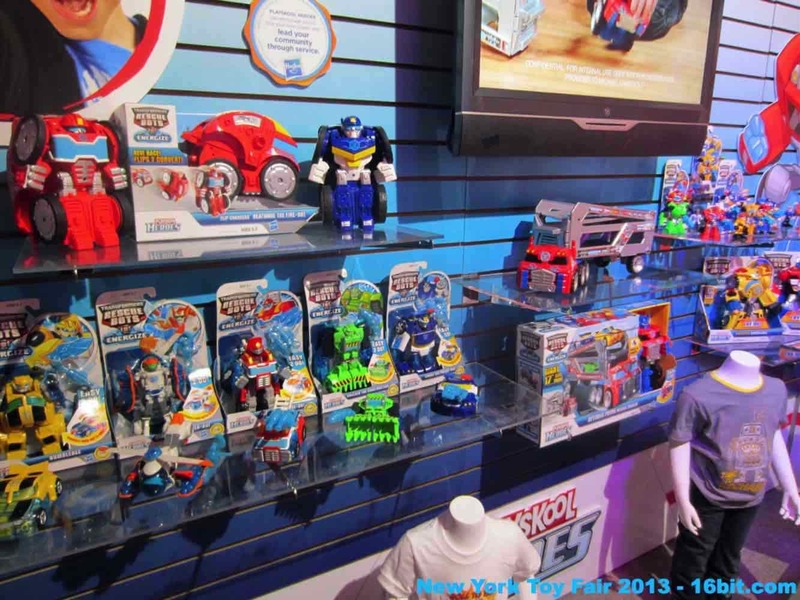 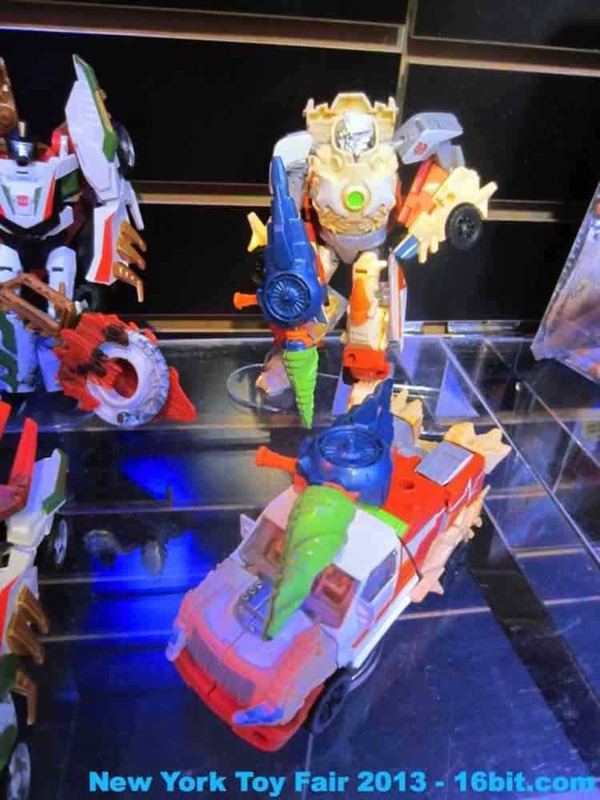 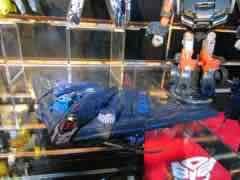 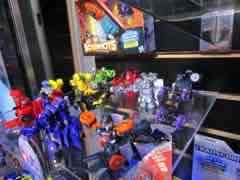 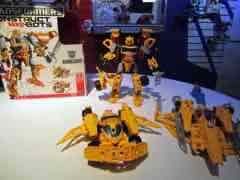 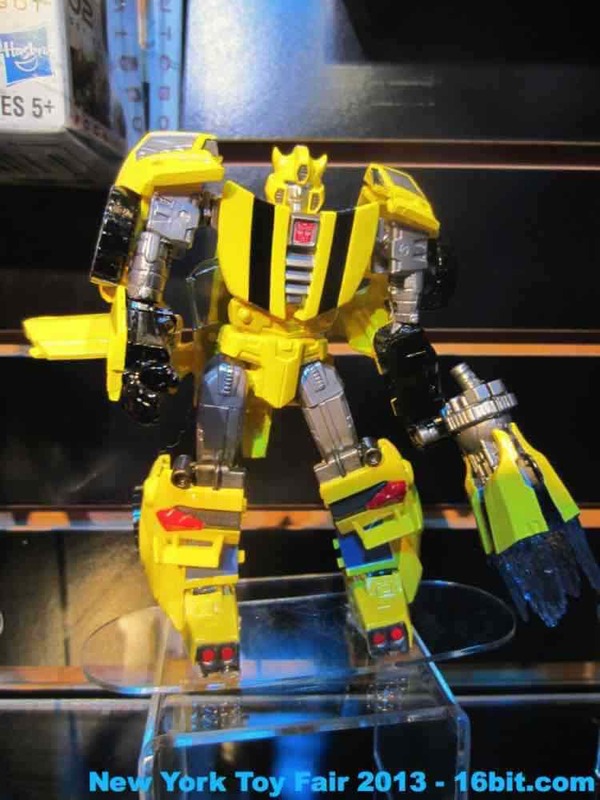 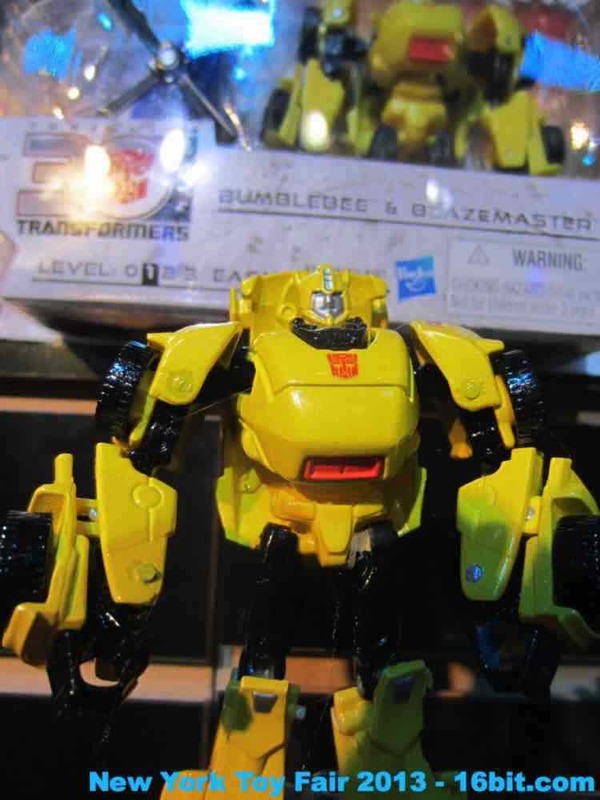 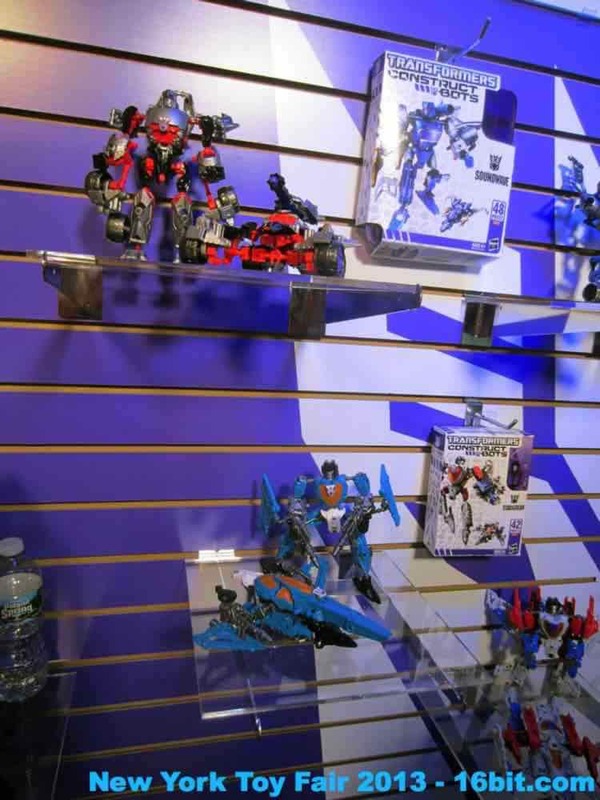 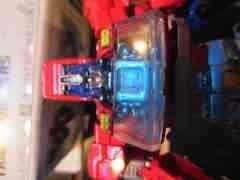 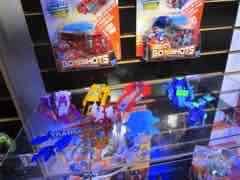 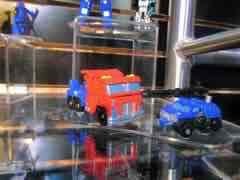 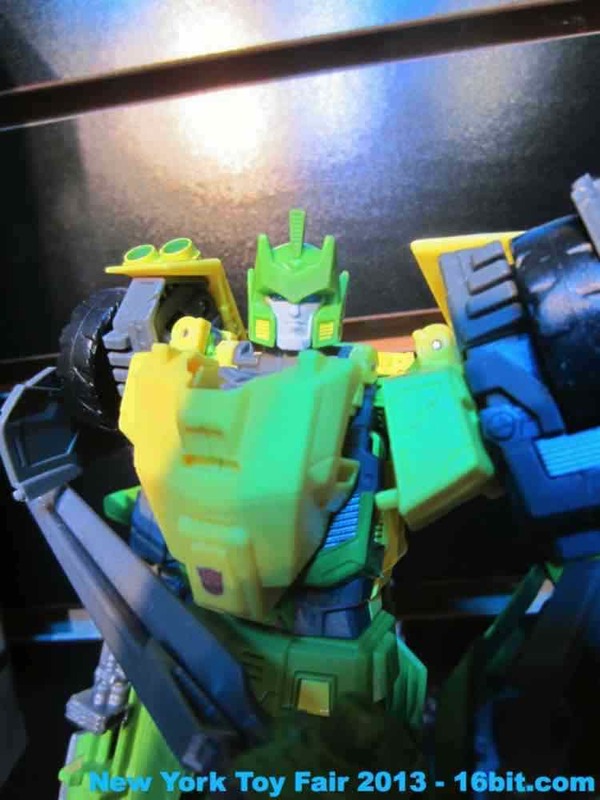 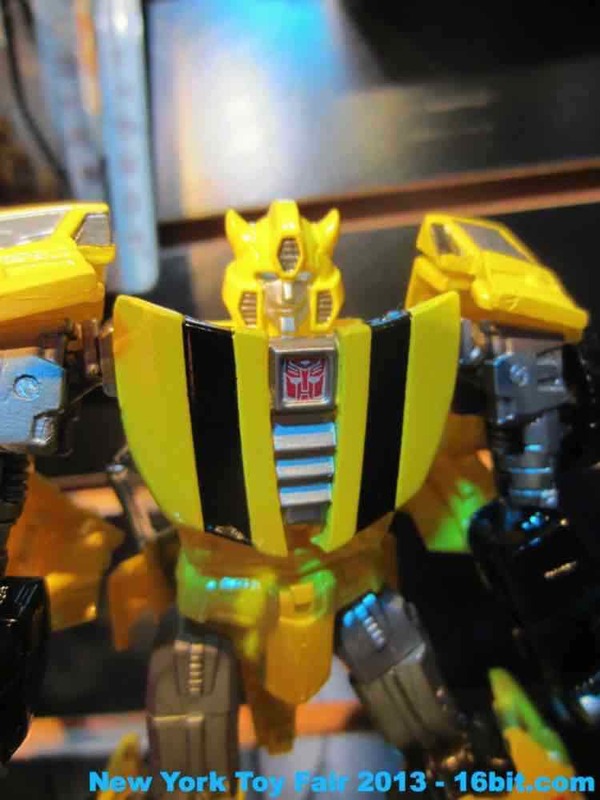 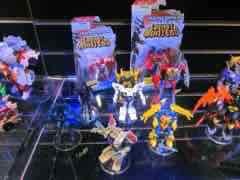 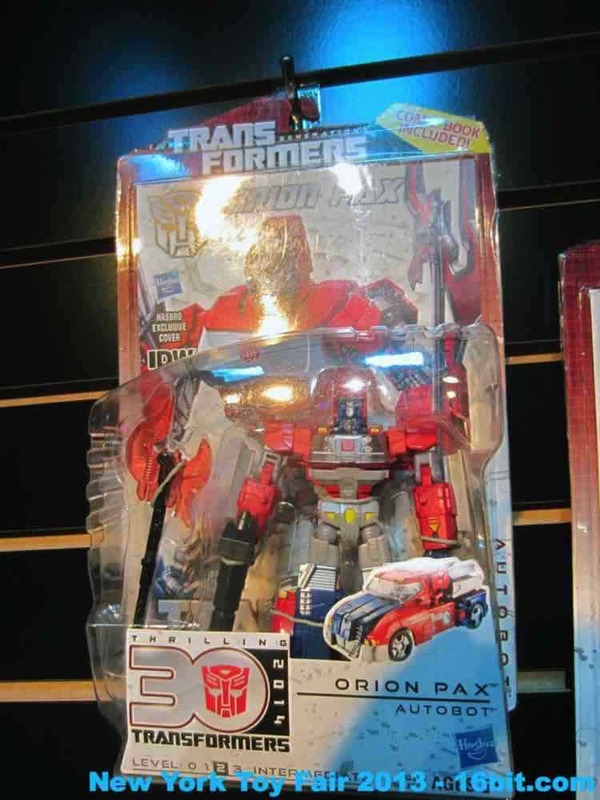 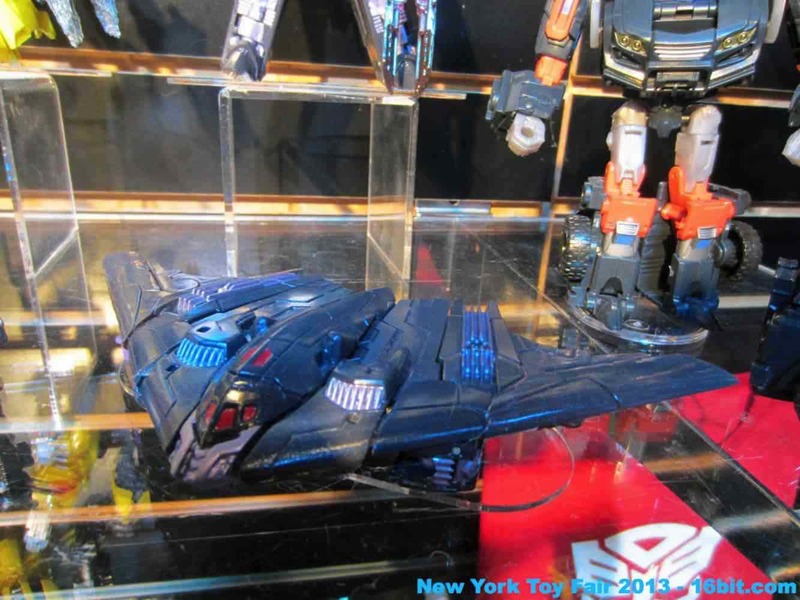 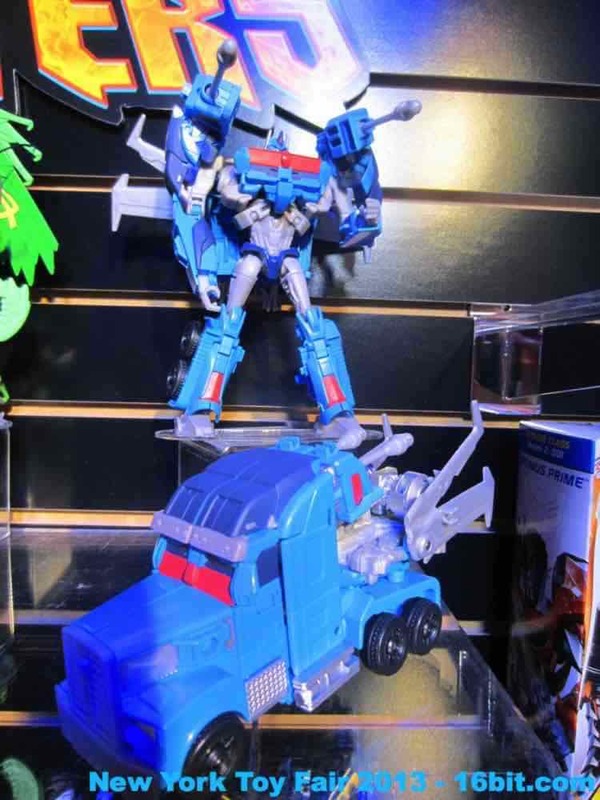 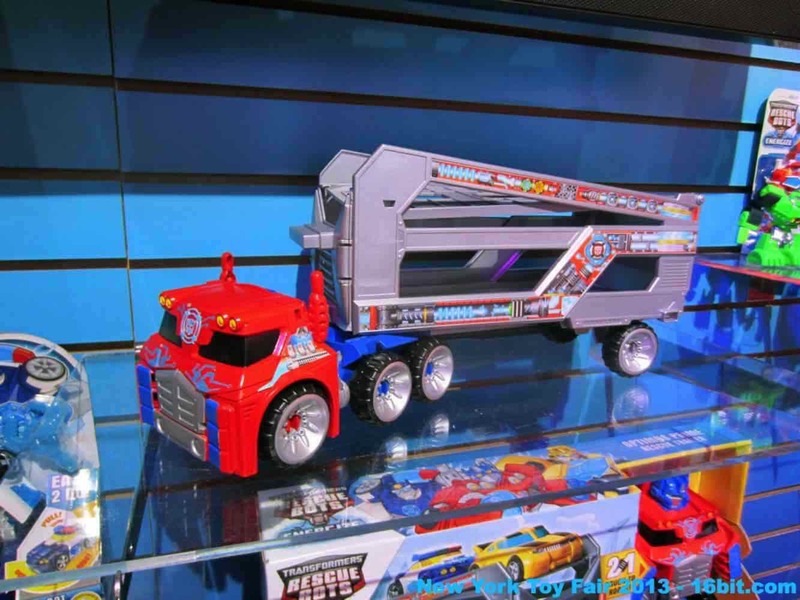 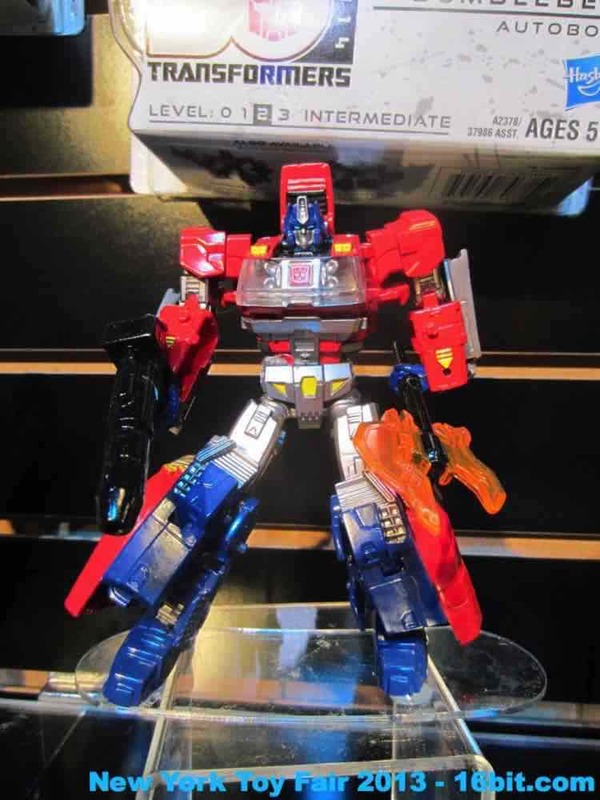 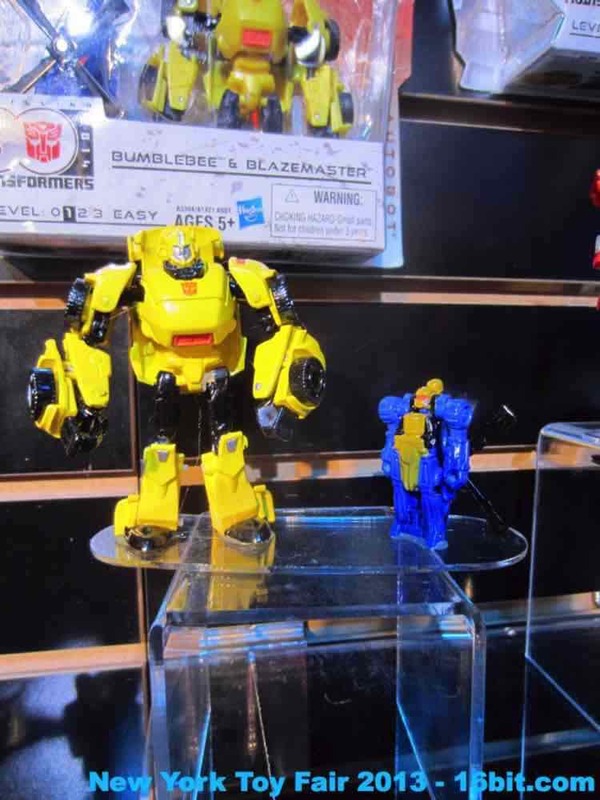 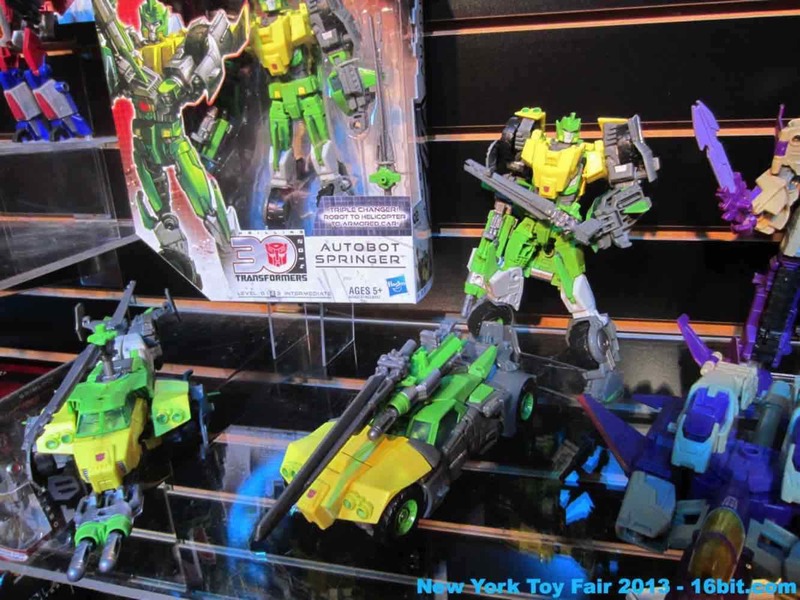 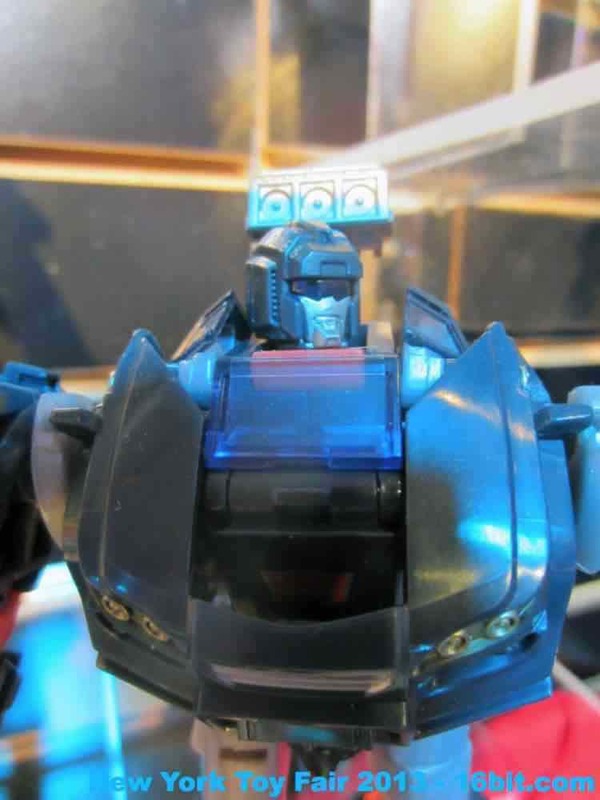 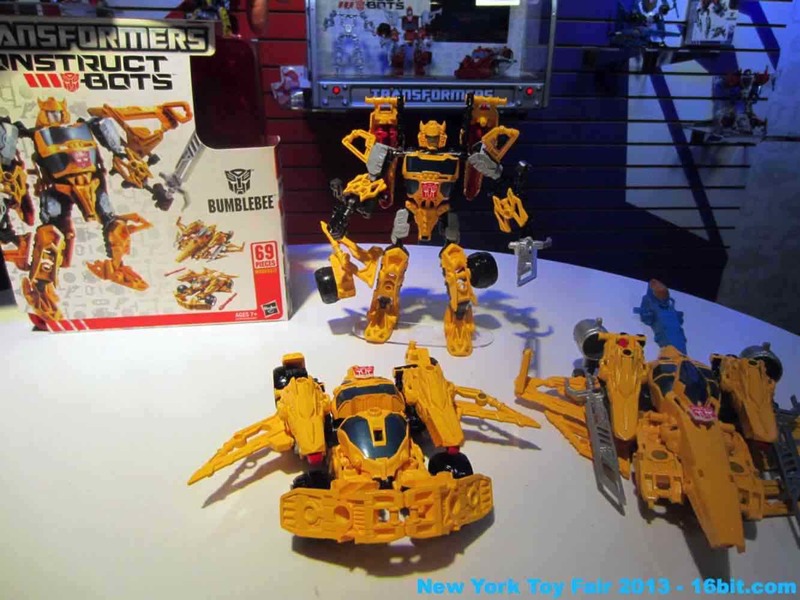 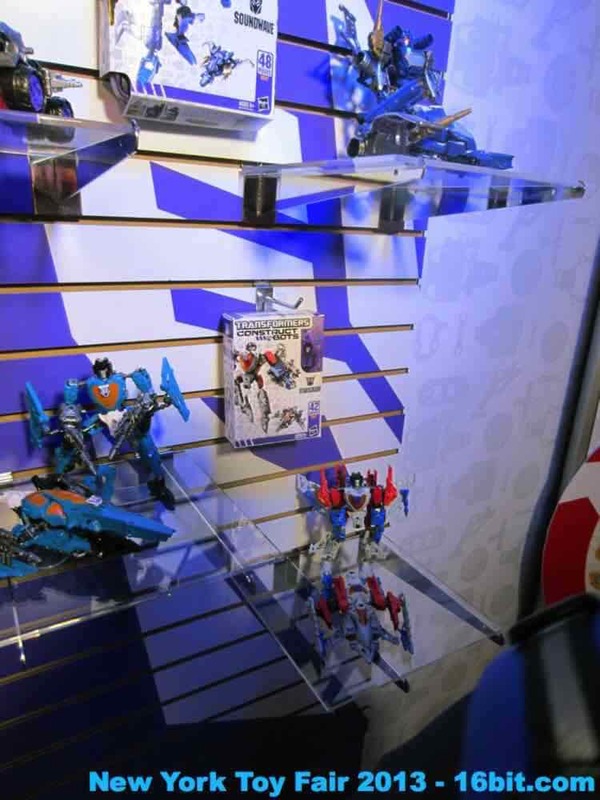 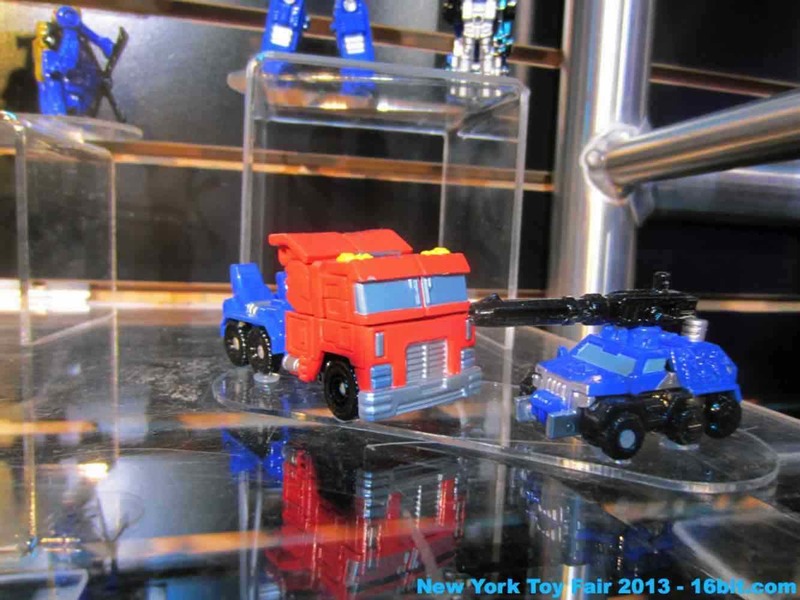 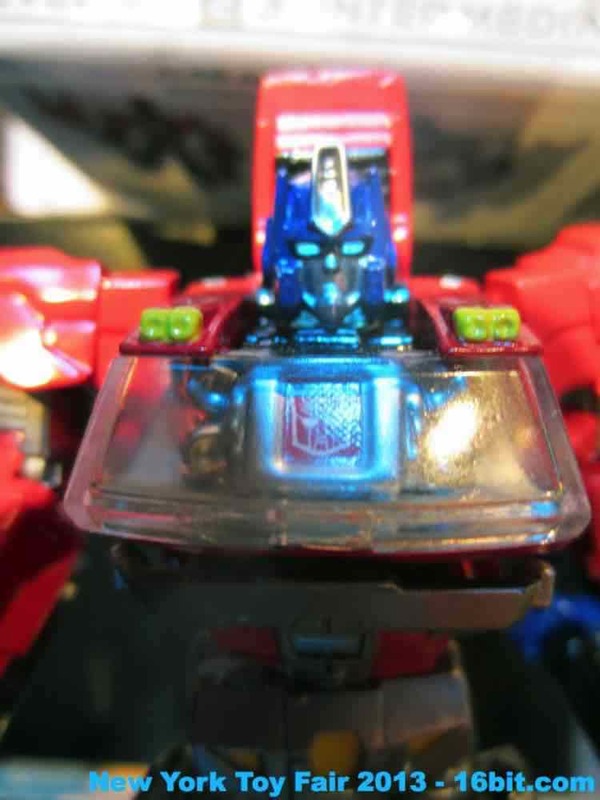 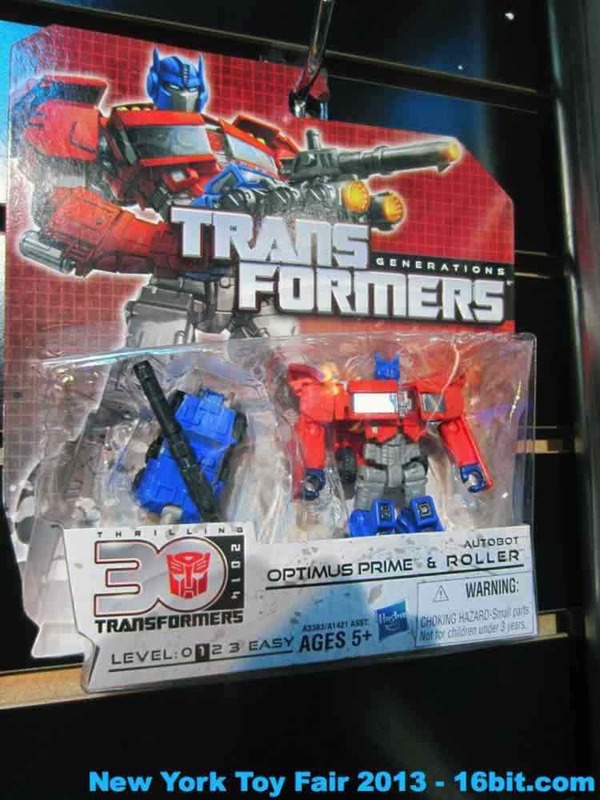 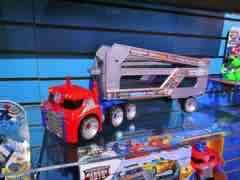 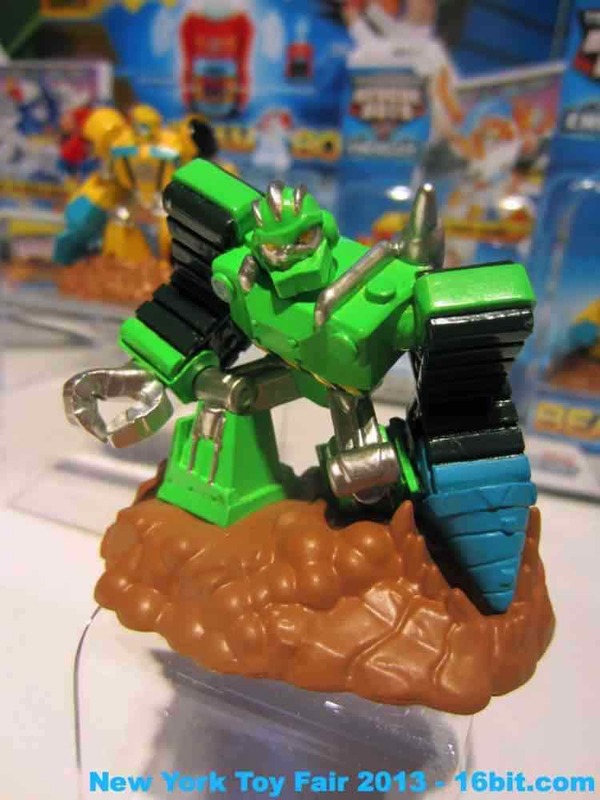 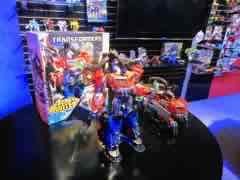 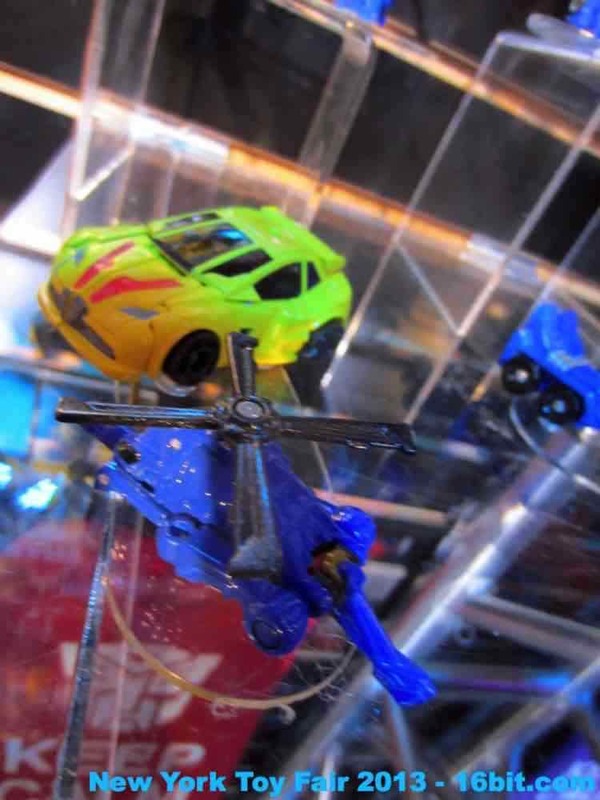 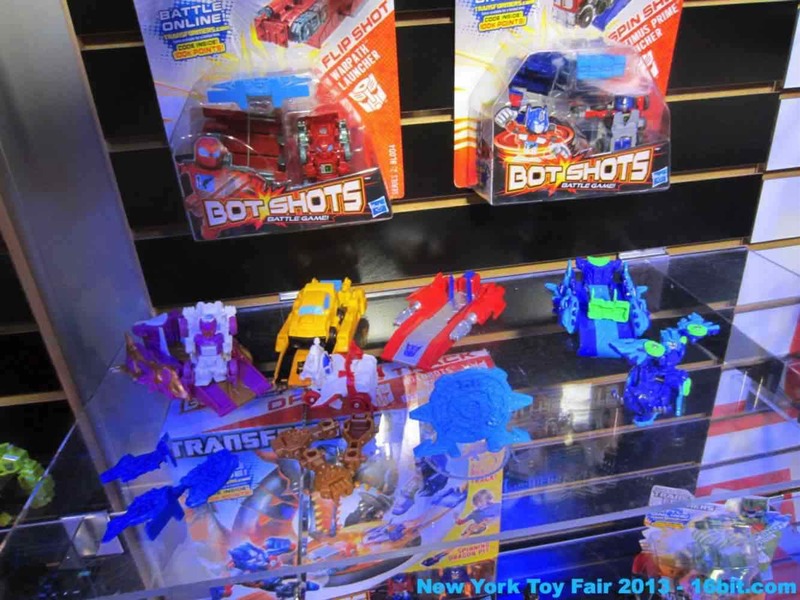 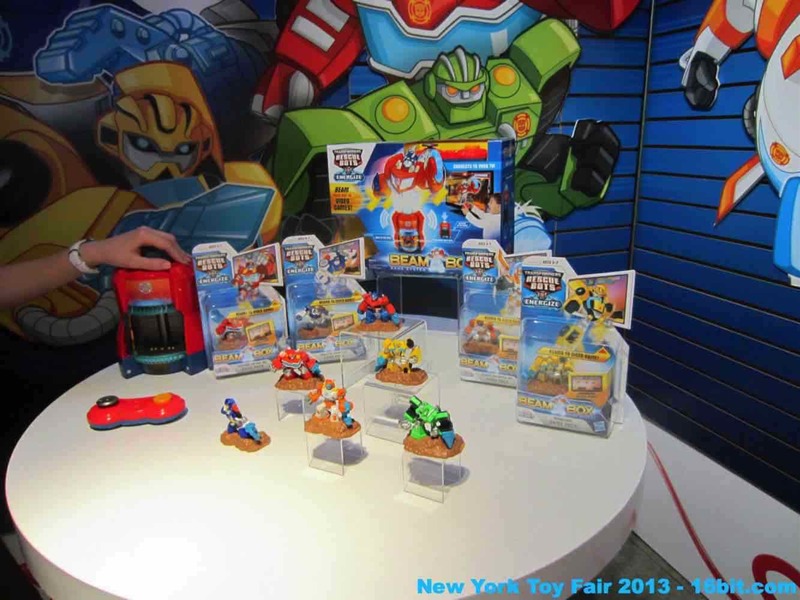 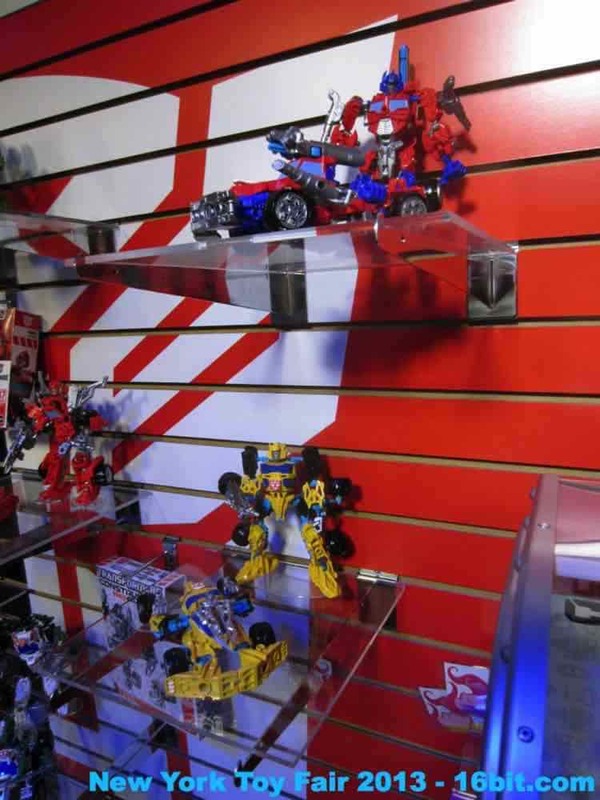 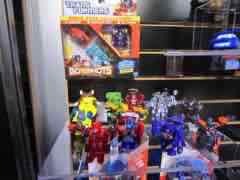 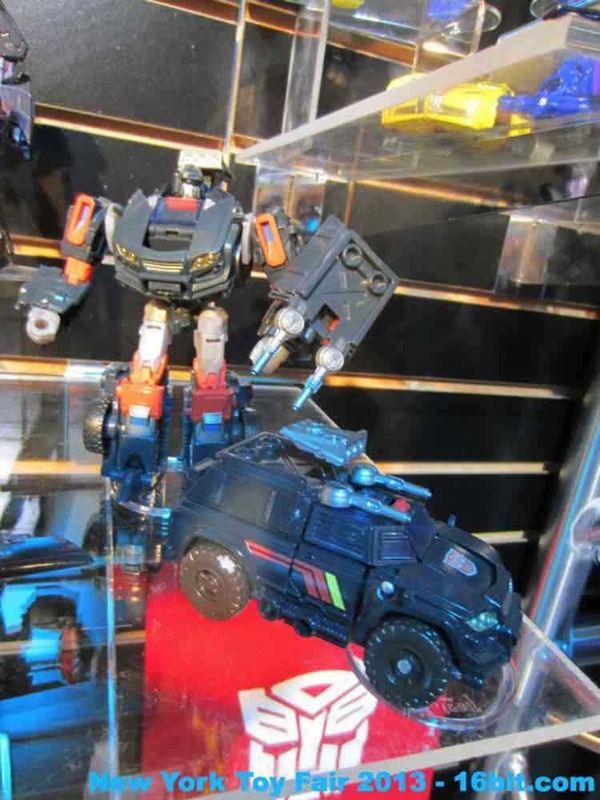 The first-ever American toy of Orion Pax was also on display, as were smaller $10 Generations toys of Optimus Prime and Bumblebee inspired from... something or other. 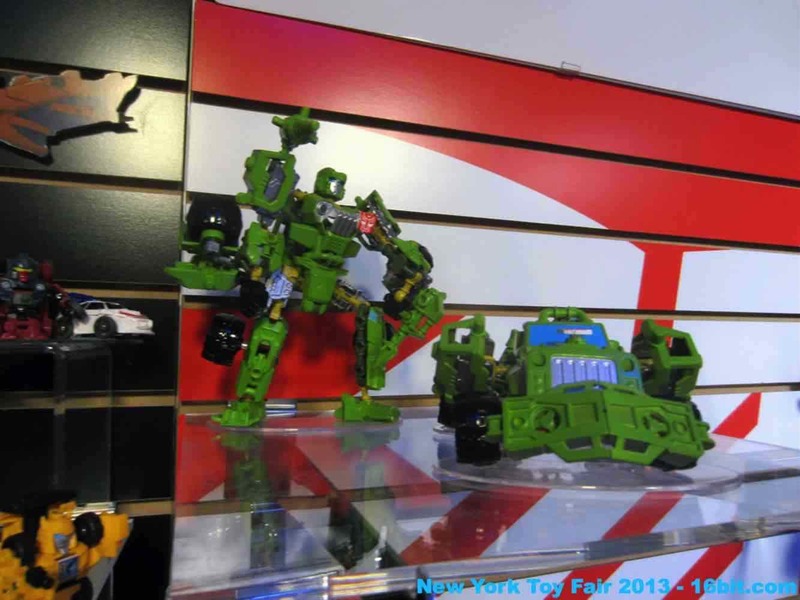 They'll look good in Metroplex with the other Legends/Legion toys you've been squirreling away. 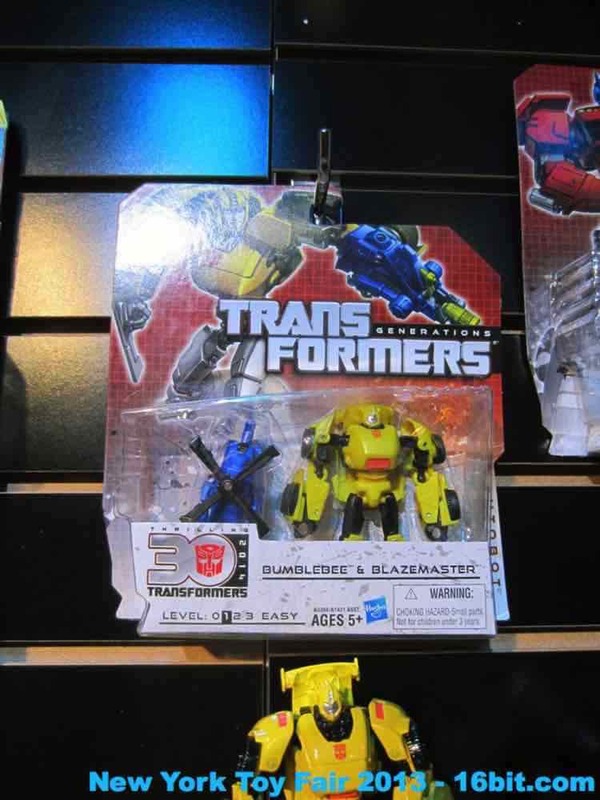 It's a good mix of stuff. 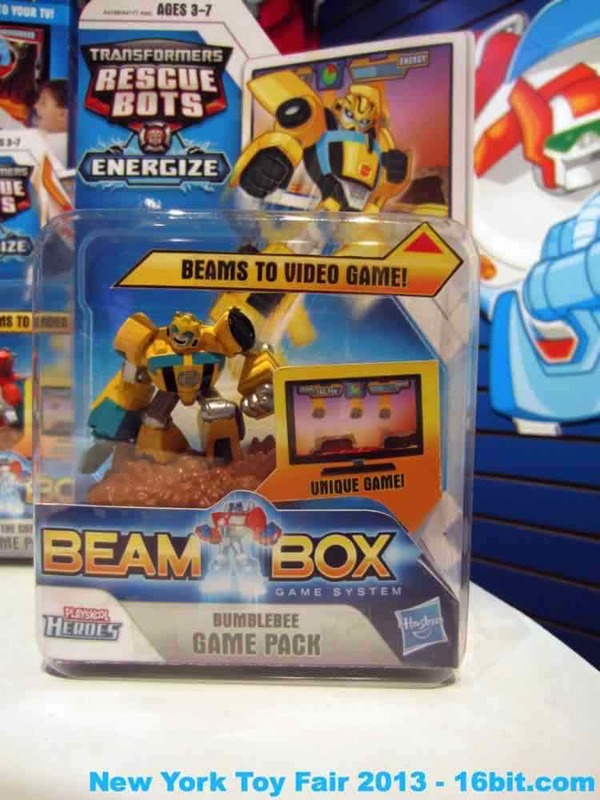 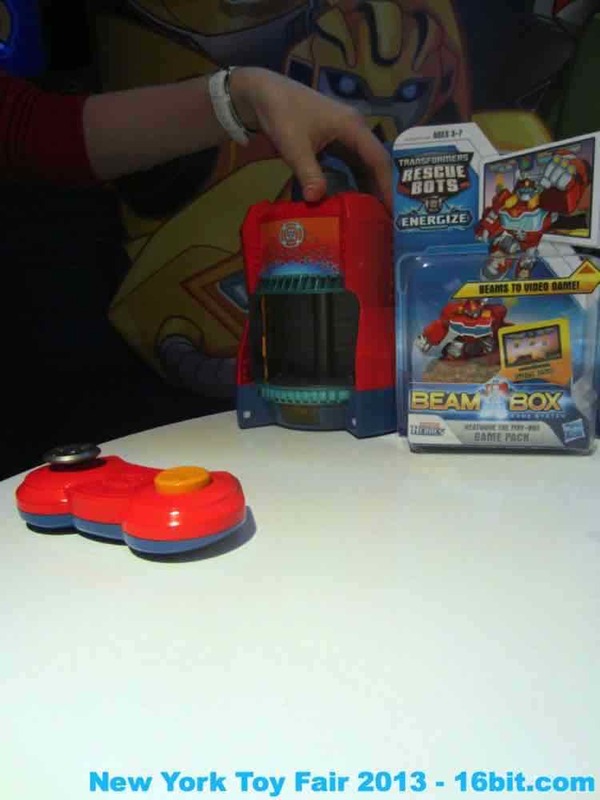 On the kiddie front, Rescue Heroes Beam Box aspires to provide a Skylanders-like interaction between toy and video game, although I was unable to see a demo of the software. 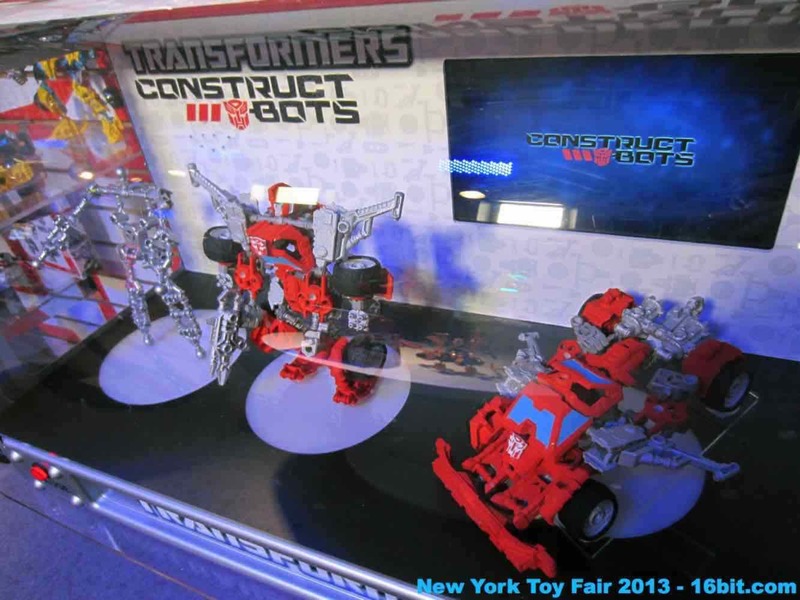 Construct Bots are similar to the LEGO Bionicle and Hero Factory figures, with multiple models of various characters allowing you to transform them from one form to another.